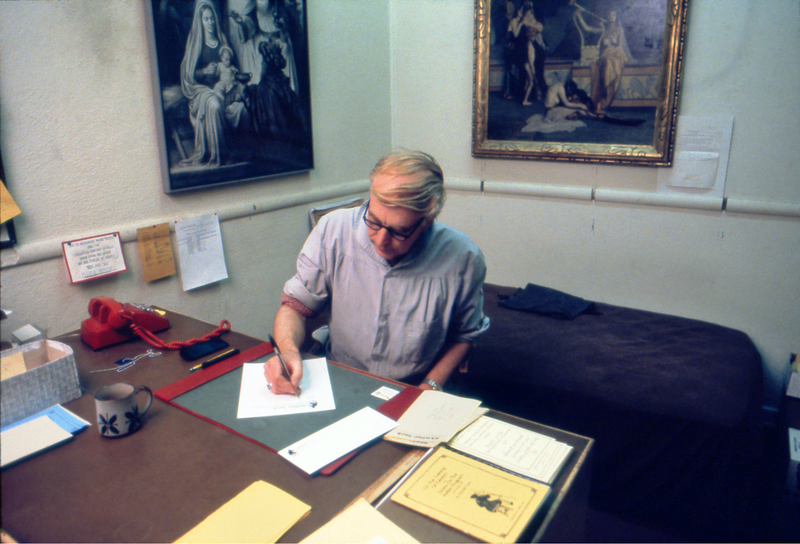 ​The following collection of photographs are taken from the life of the twentieth century Classical Realist painter, Richard Frederick Lack (1928-2009). Mr. Lack was largely responsible for the dissemination and preservation of pre-twentieth century drawing and painting processes and ideologies in the West. 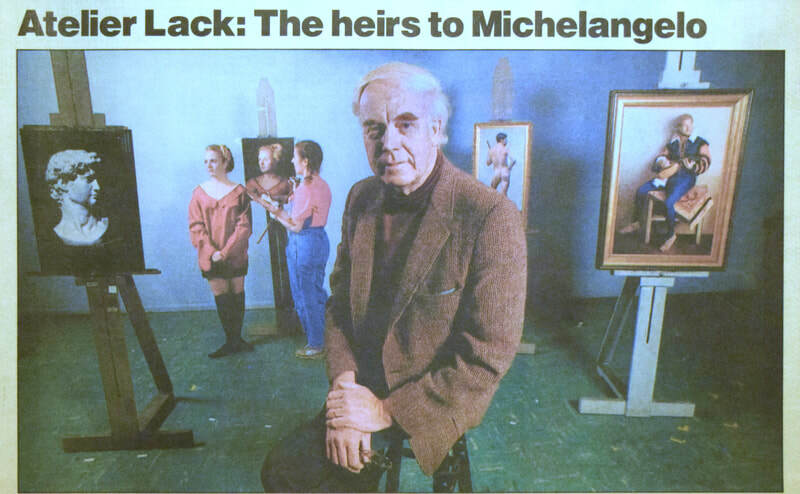 Traditional realist artists who trained in America between 1969 and 2009 would most likely have been subject to Mr. Lack’s influence; be it through his painting, teaching or writings. Mr. Lack’s body of knowledge was developed through a lineage of painter’s that harken back to the Parisian academies and ateliers of the nineteenth century. The highest standards of academic draughtsmanship of this period, combined with the truthfulness of observed colour and atmosphere of the twentieth century Boston impressionists (Mr. Lack was trained by Boston artist R.H. Ives Gammell) formulated the ethos for a dual tradition that he called Classical Realism. Throughout his life, Mr. Lack would come to pass on his knowledge through his painting, teaching and writings, to a multitude of artists who shared his love of technical excellence and his yearning for a conservative, traditionalist sensibility. 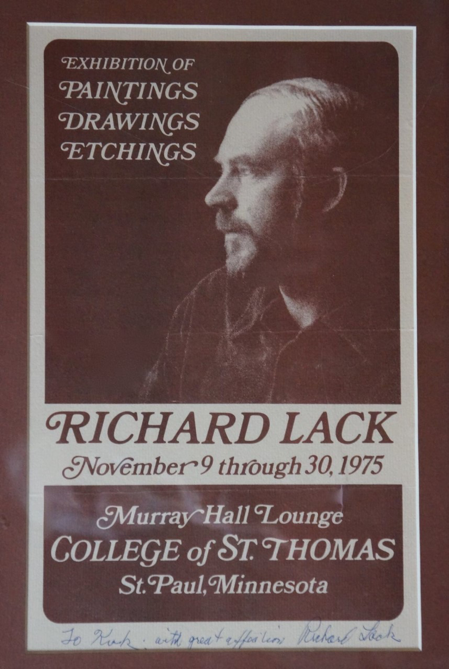 Many of these artists were inevitably touched by Mr. Lack’s deep obligation to teach and in turn, have gone on to open teaching studios of their own, where they continue to train artists in the classical traditions of drawing and painting in perpetuity. 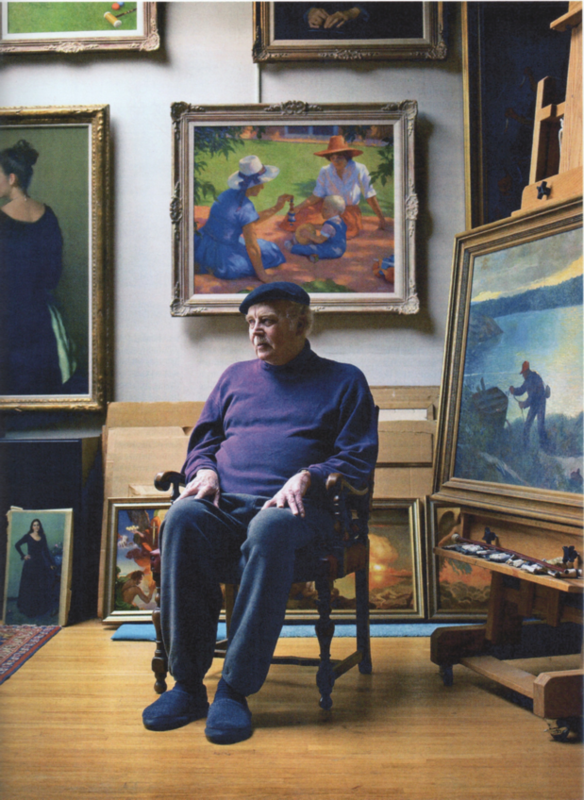 Due to Mr. Lack’s impact on the contemporary continuance of traditional drawing and painting practices, proponents of the realist tradition today consider him “the father of the contemporary atelier movement.” To the modernist and contemporary art authorities, he was considered a nonconformist; an outlander that walked his own path and accrued a strong following of artists that trailed his footsteps towards mastery of technique and meaning. 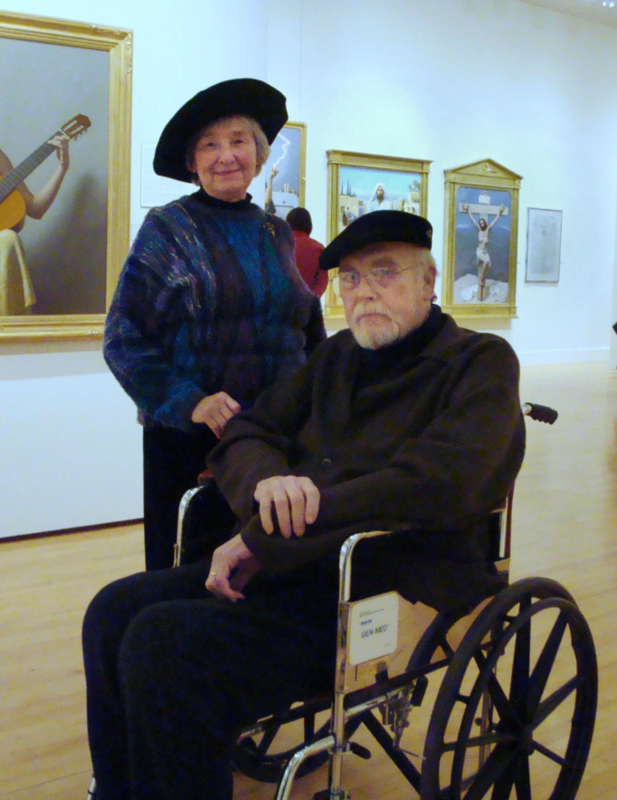 However, to the people who knew him best, he is remembered as a loving husband and father, a remarkable artist-teacher, a loyal friend and a man with a tremendous heart. This project wouldn’t have been possible without the help of many who shared a kinship with Mr. Lack throughout his life. I would firstly like to thank Mr. Lack’s wife, Katherine as well as his children; Susanna, Michael and Peter for supporting this project and allowing me to publish the photos on my website. It is an honour to be able to share them with the rest of the world. Secondly, I thank Mr. Lack’s former students who contributed photos from their personal collections, namely, Kirk Richards, Allan R. Banks and Cyd Wicker. I appreciate each and every one of your efforts in maintaining Mr. Lack’s legacy, thank you. Lastly, I would like to extend my thanks to a man who showed the utmost support and provided much advice for this project, from the very moment that I proposed the idea to him. He spent countless hours scanning photos from his collection and proofreading the captions to ensure biographical accuracy. Stephen Gjertson, this project wouldn’t have come to be if it wasn’t for you. Mr. Lack working in his studio, Glen Lake, Minnesota, 1959. Mr. 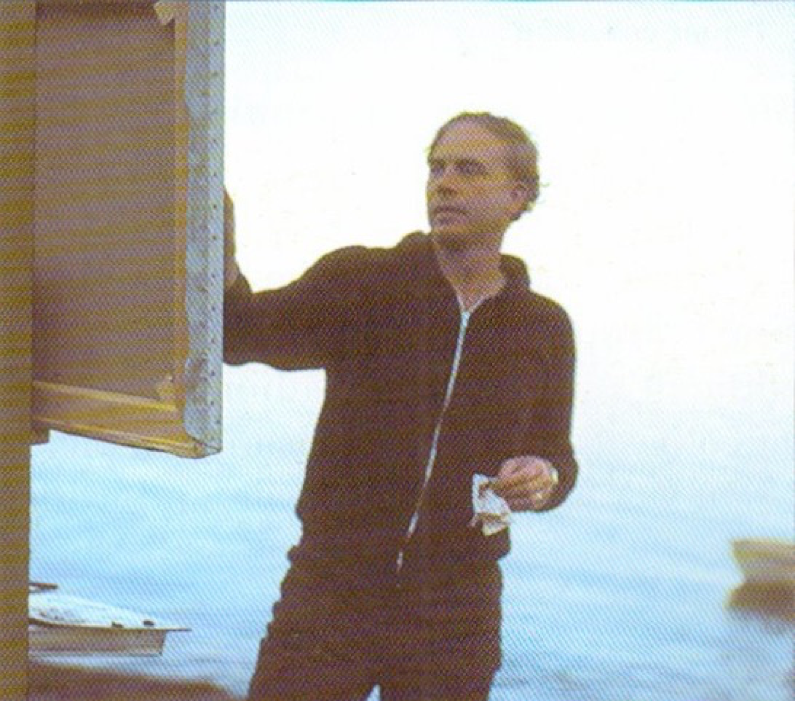 Lack painting at Lake Superior, Minnesota, 1970s. Mr. 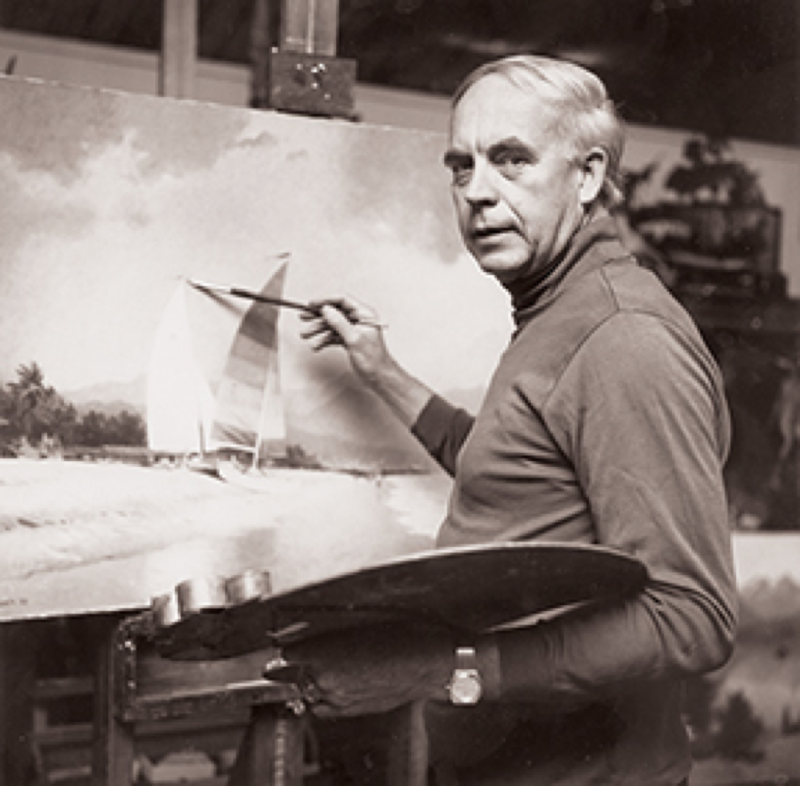 Lack in his studio working on his painting, Sailboats, Puerto Vallarta, Glen Lake, Minnesota, 1985. Mr. 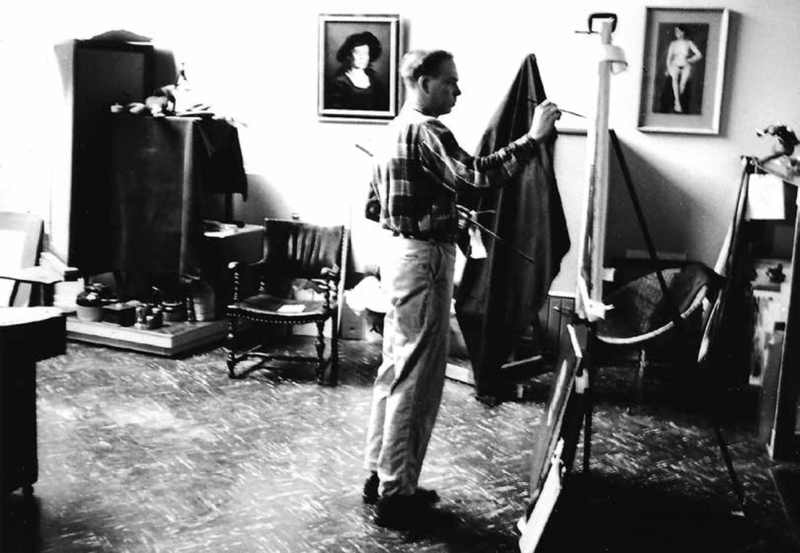 Lack in his studio working on his painting, The Snow Queen, Glen Lake, Minnesota, 1963. Mr. 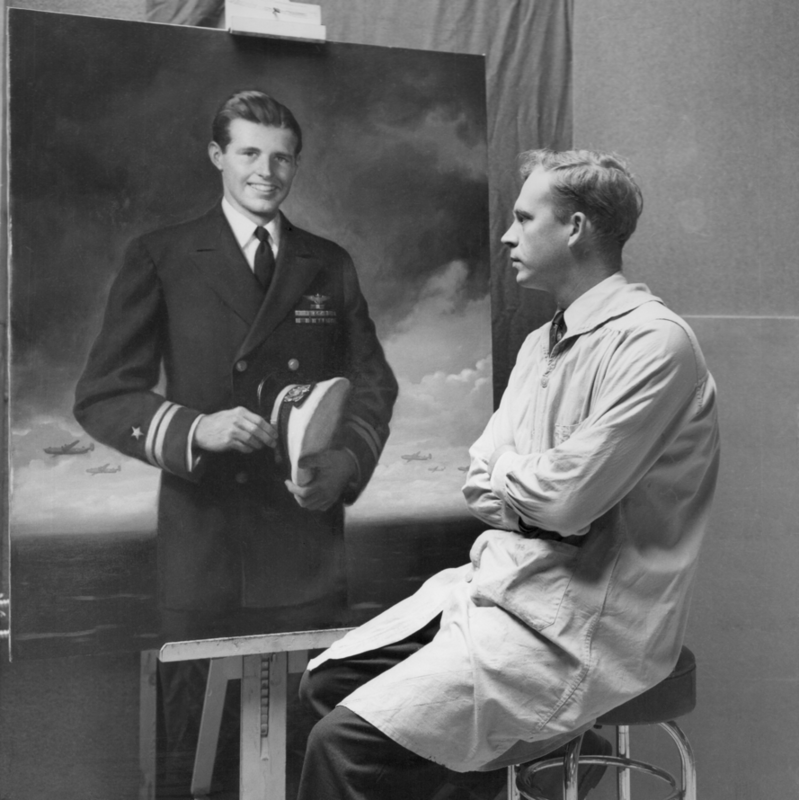 Lack with his second portrait of Joseph P. Kennedy Jr., painted in his unfinished studio, Glen Lake, Minnesota, 1958. Alternative view of Mr. 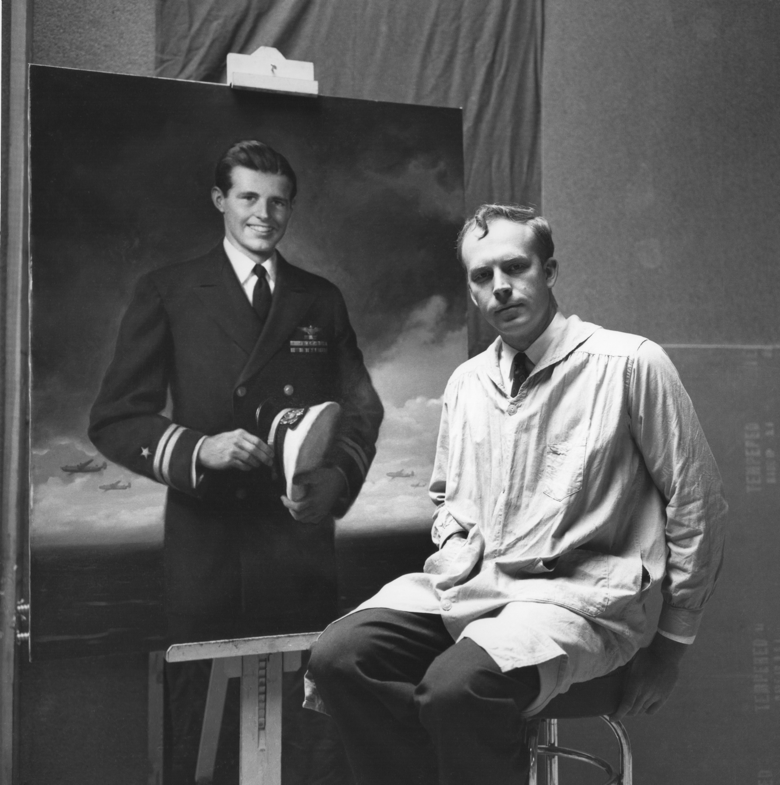 Lack with his second portrait of Joseph P. Kennedy Jr., painted in his unfinished studio, Glen Lake, Minnesota, 1958. Mr. 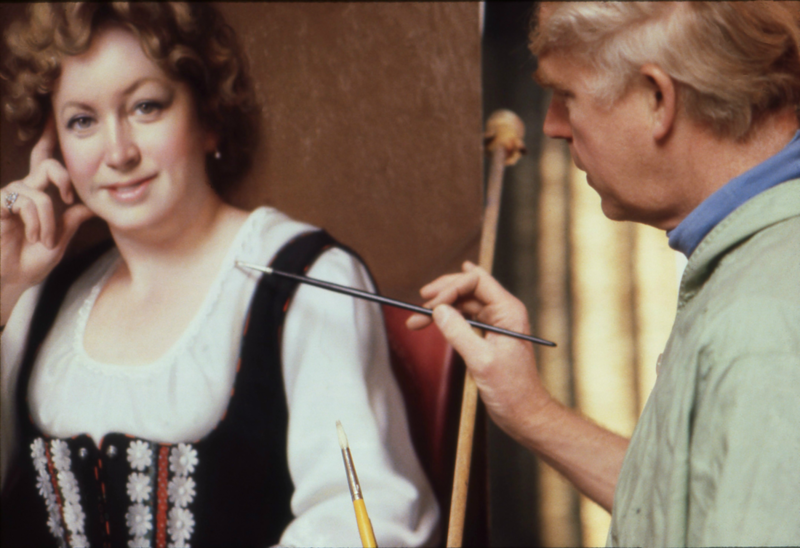 Lack in his studio working on his portrait of Joan Hegerman, Glen Lake, Minnesota, 1980. Alternative view of Mr. 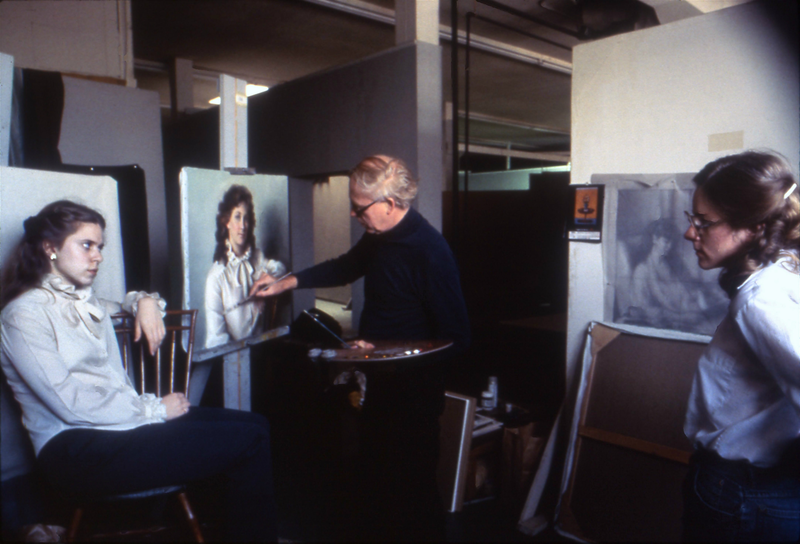 Lack in his studio working on his portrait of Joan Hegerman, Glen Lake, Minnesota, 1980. Mr. Lack in his studio, Glen Lake, Minnesota. This photo was taken for an American Artist magazine article in 1971. Mr. 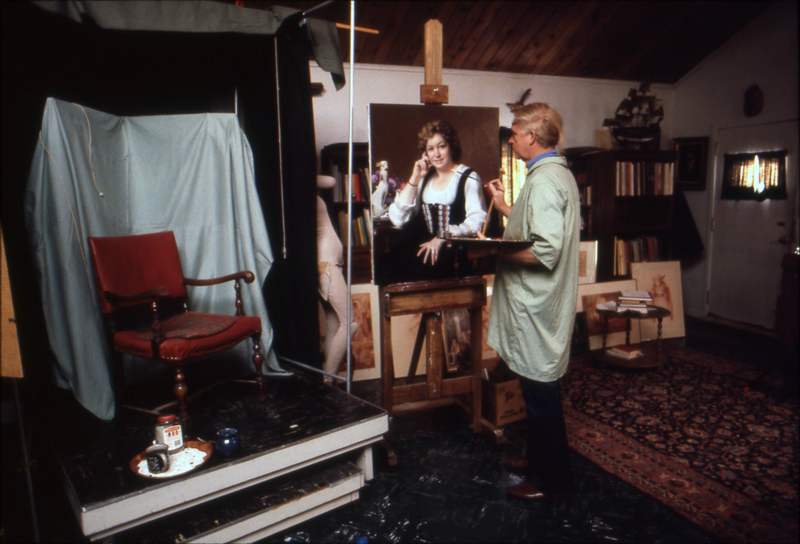 Lack in his studio with his portrait of Dr. Richard Ebert, Glen Lake, Minnesota, 1978. Mr. 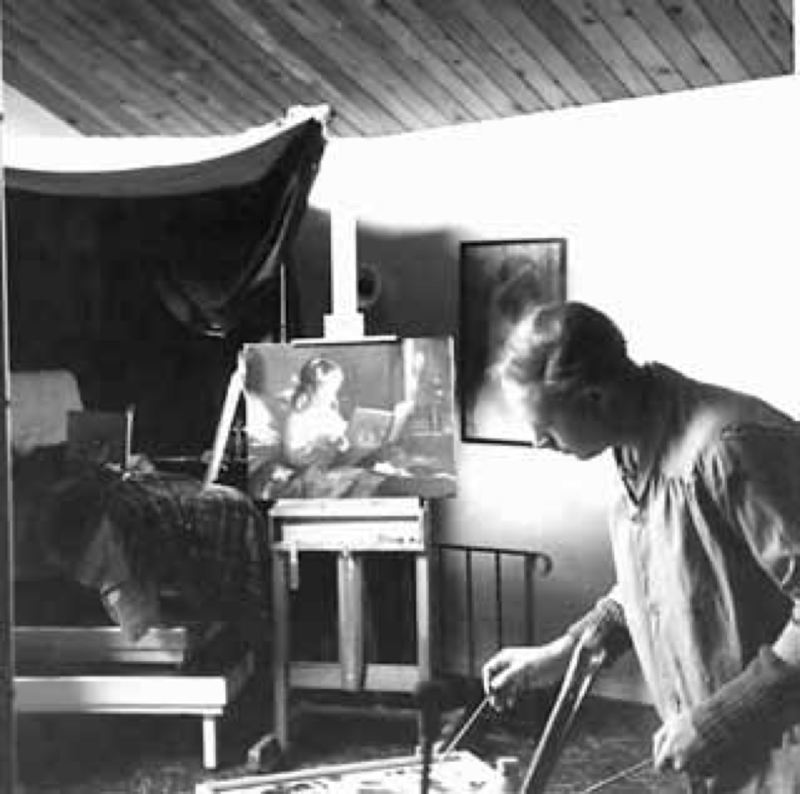 Lack in his studio, standing before his painting, Mother and Child, Glen Lake, Minnesota, 1980. Mr. 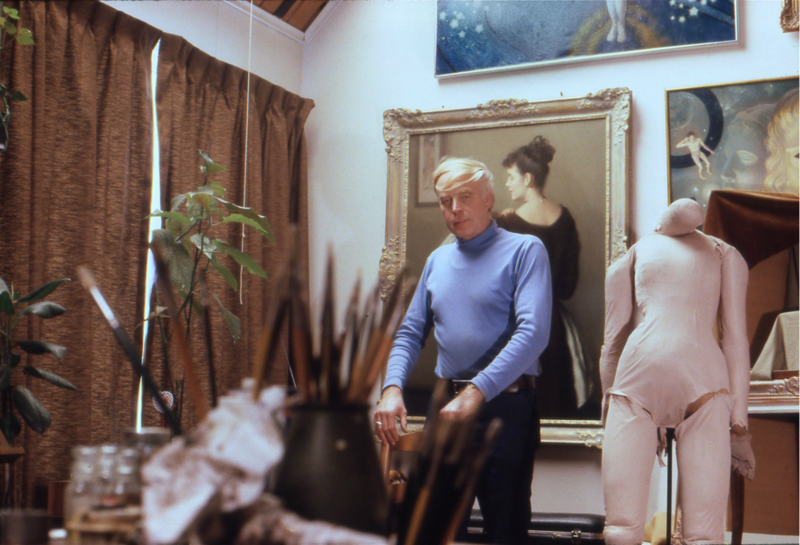 Lack in his studio, Glen Lake, Minnesota, 1980. Mr. 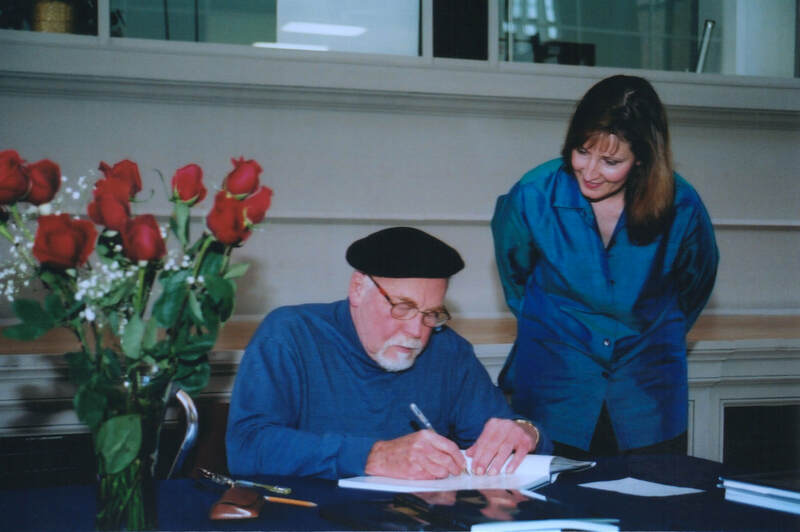 Lack signing a copy of his book for Rebecca Swanson at Richard F. Lack: An American Master, book signing, University of Minnesota Technology Center (location of The ASCR office), October 6, 2001. Mr. 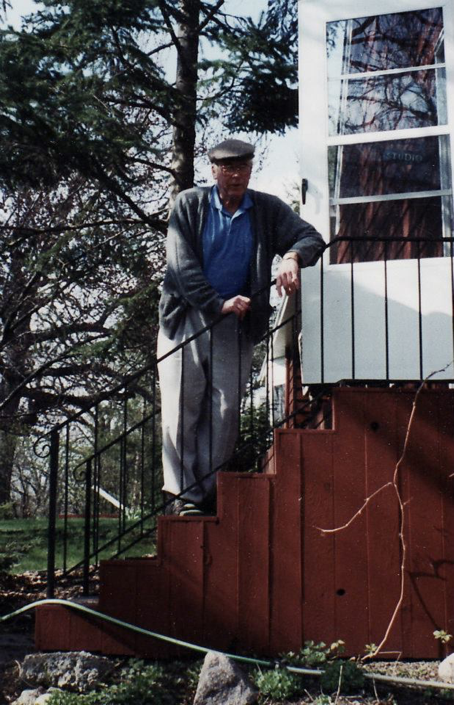 Lack on his studio steps, Glen Lake, Minnesota, May, 1996. Mr. 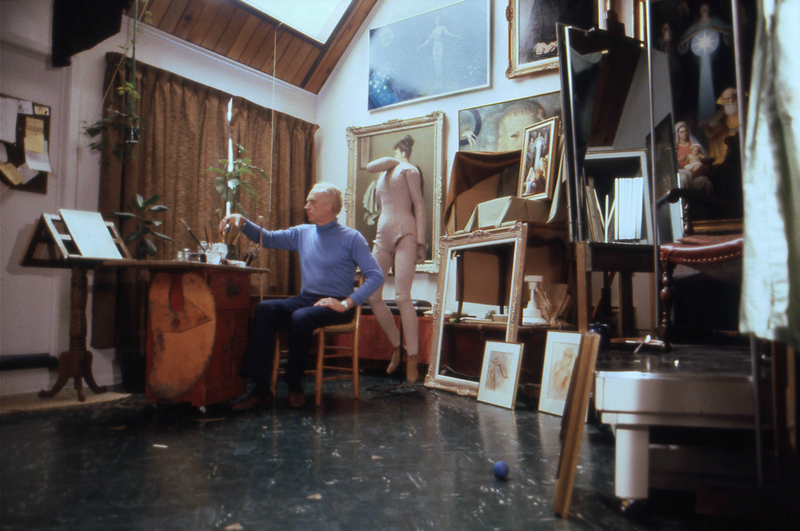 Lack in his studio, surrounded by some of his figure studies, Glen Lake, Minnesota, 1980. Mr. Lack standing before his paintings, The Jack-O'-Lantern ​(left) and The Butterfly Collector (right) at the opening of Beauty: A Rebirth of Relevance, Newington-Cropsey Foundation Gallery of Art, 1996. Mr. 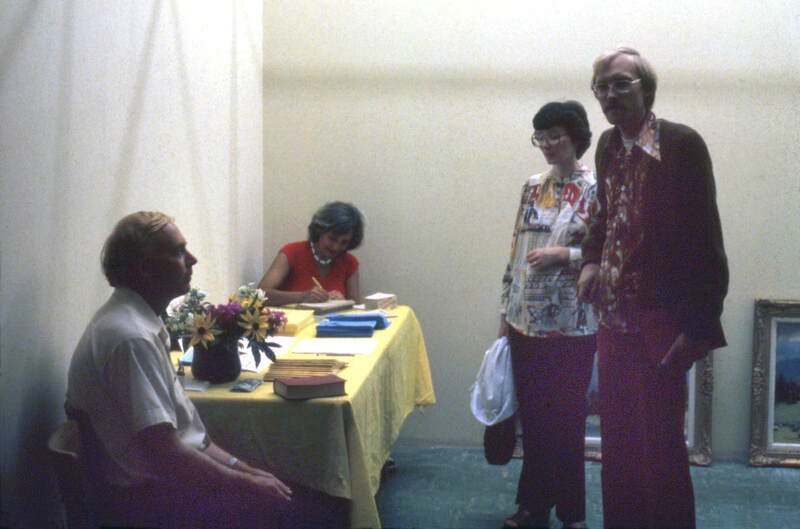 Lack at his solo exhibition at Heritage Art Gallery, 1986. 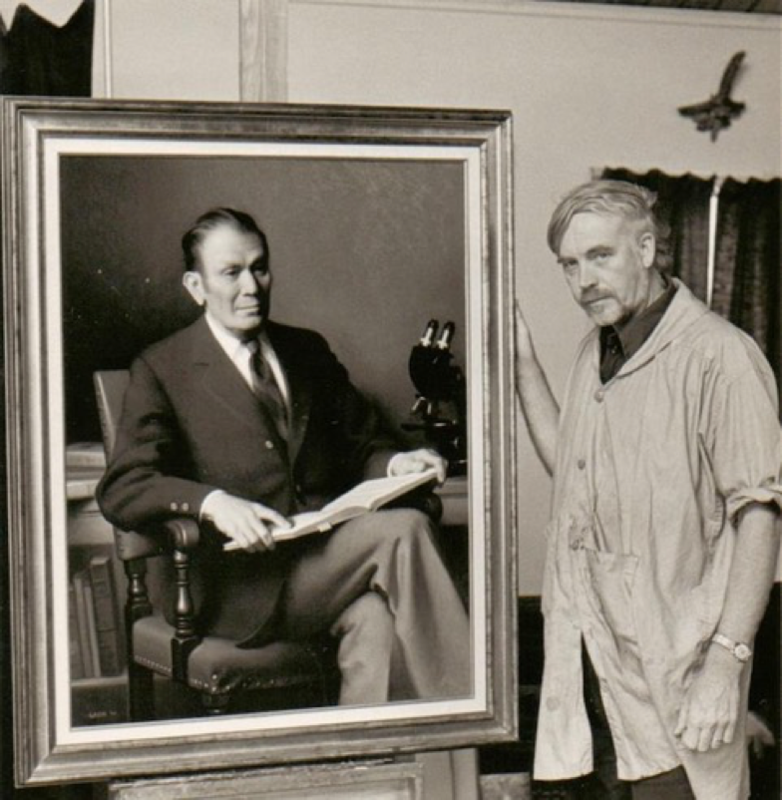 To Mr. Lack’s right is a portrait he owned by his teacher, R.H. Ives Gammell. Mr. 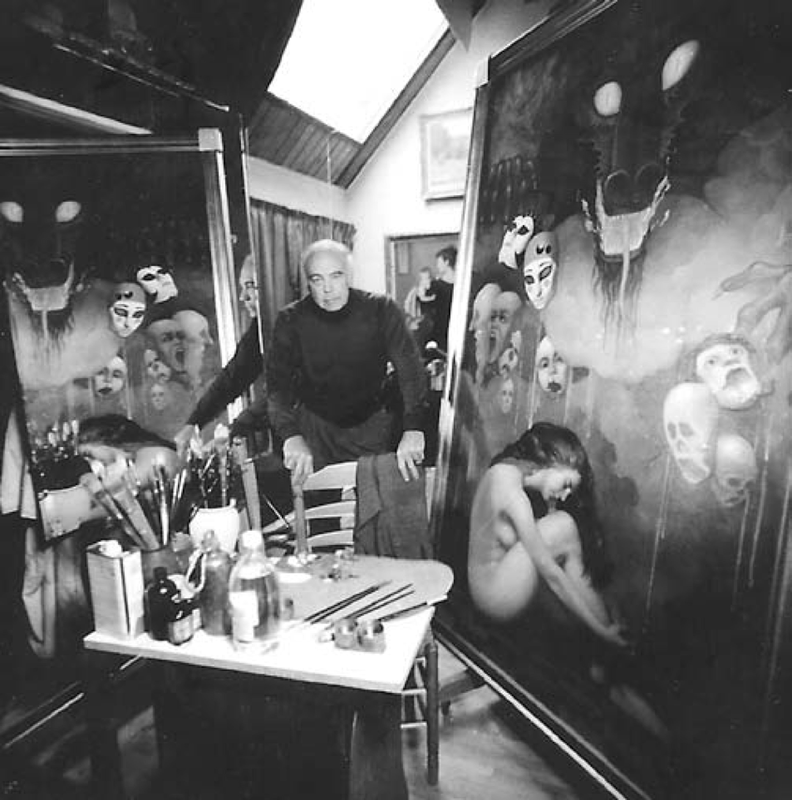 Lack in his studio, standing next to his painting, Demons, Glen Lake, Minnesota, 1997. Mr. Lack on a cruise around Lake Minnetonka, August, 2002. The inside cover of the magazine, The Illustrator, Spring, 1963. Mr. 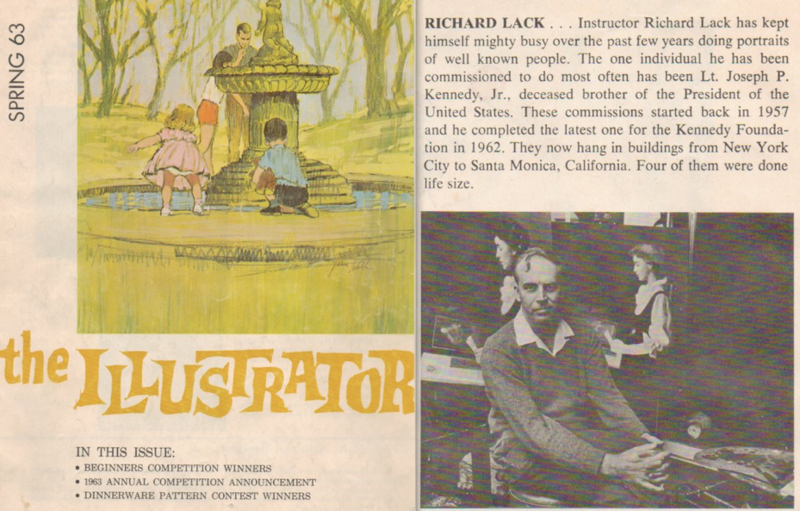 Lack was on the magazine's staff as a teacher. An advertising brochure for Atelier Lack from 1978-79. The painting in the image is The Seeker, a demonstration portrait by Richard Lack of student, Jackson Russell. Mr. Lack working in the office at Atelier Lack, Minneapolis, 1980. Mr. 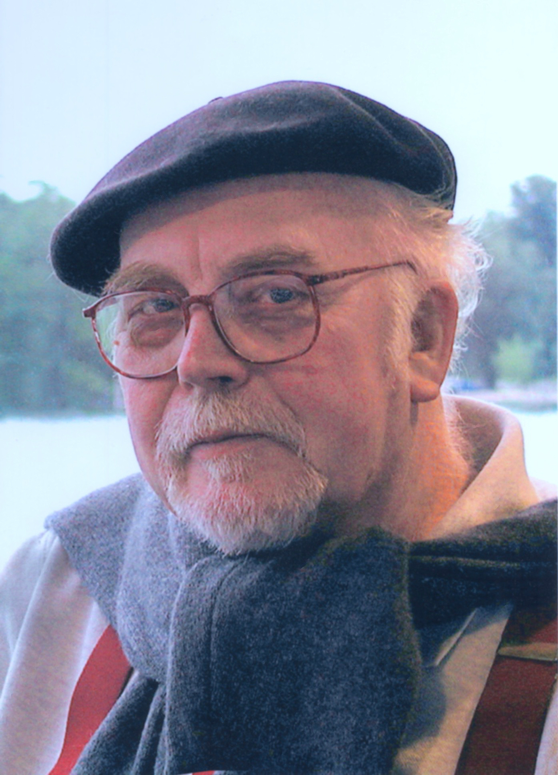 Lack in his studio, Glen Lake, Minnesota, 2006. Mr. 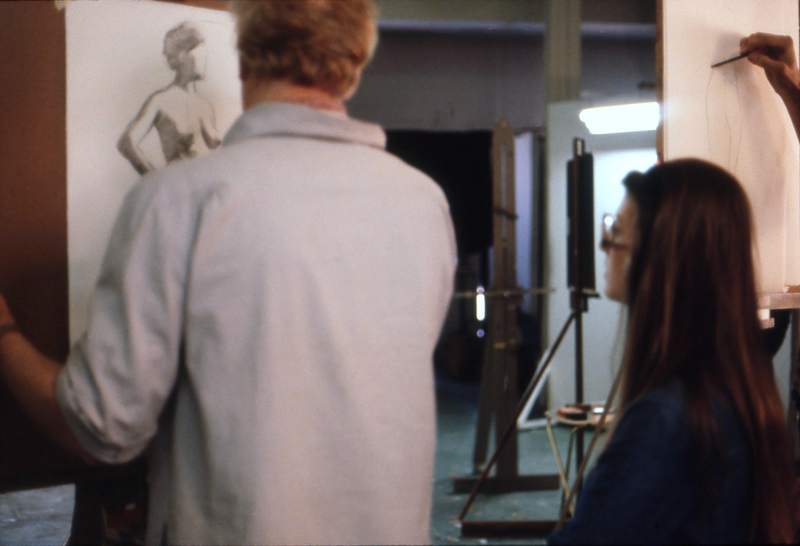 Lack critiquing and demonstrating working methods on Lisa Bormann’s portrait study at Atelier Lack, Minneapolis, 1980. Mr. 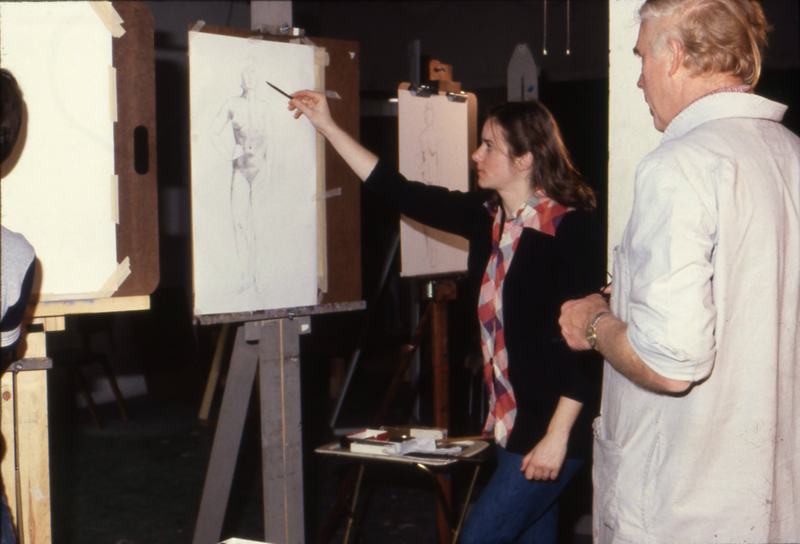 Lack observing Lisa Bormann’s figure drawing at Atelier Lack, Minneapolis, 1980. Mr. 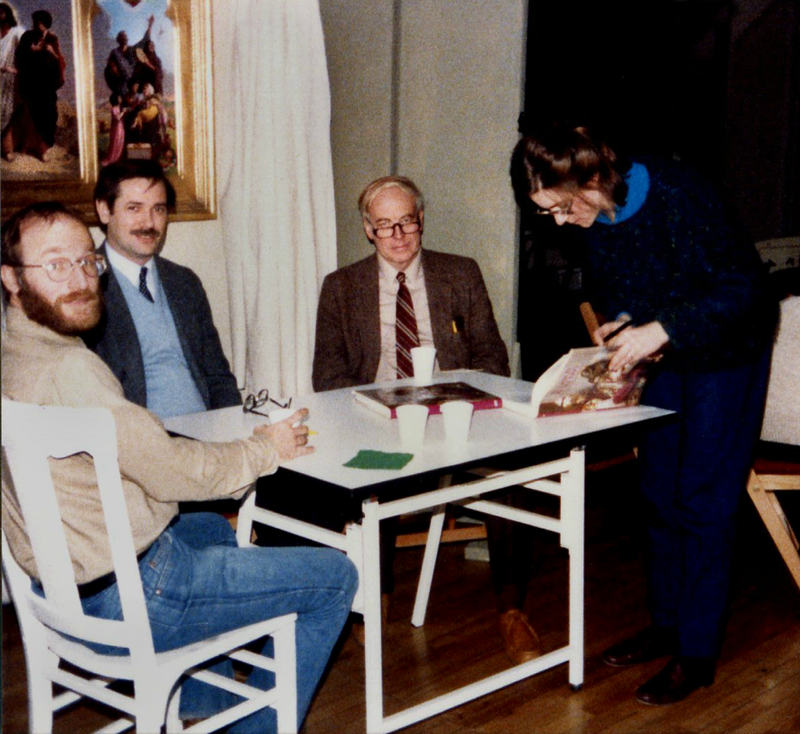 Lack discussing the colour sketches by James Prohl, at Atelier Lack, Minneapolis, 1980. Mr. Lack in Atelier Lack, whilst in the background, Robin Anderson (right) paints from the model (left, name unknown), Minneapolis, Tuesday, April 18, 1989. Courtesy of Minneapolis Star Tribune. Mr. 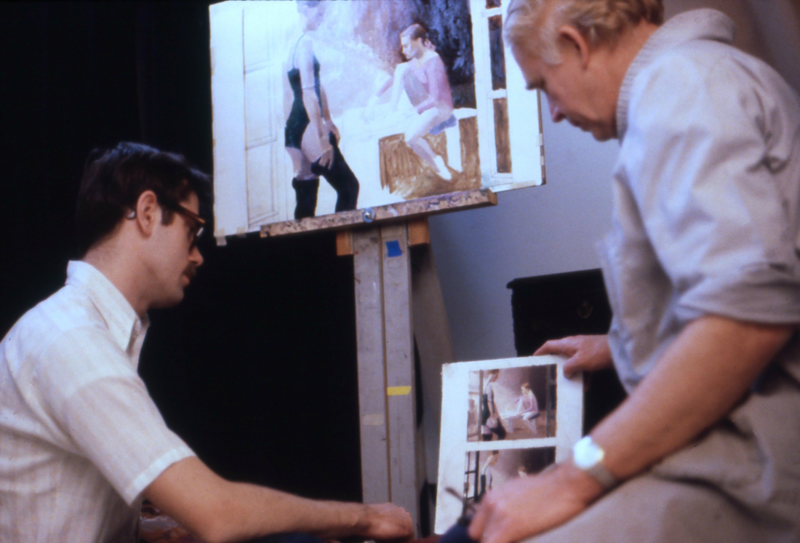 Lack instructing James Coston on his copy of Lack's portrait demonstration of Earl Buys at Atelier Lack, Minneapolis, 1980. Alternative view of Mr. 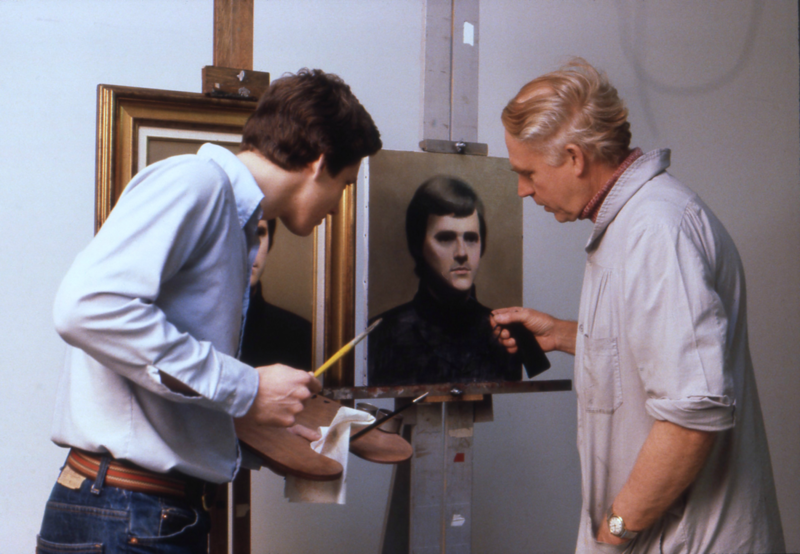 Lack instructing James Coston on his copy of Lack's portrait demonstration of Earl Buys at Atelier Lack, Minneapolis, 1980. Mr. 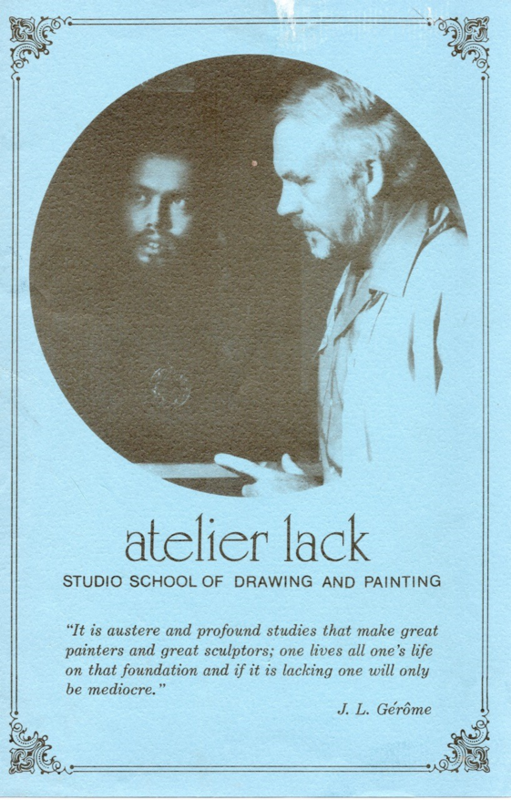 Lack and his students at Atelier Lack, Minneapolis, 1976. Mr. Lack correcting Cyd Wicker’s figure drawing at Atelier Lack, Minneapolis, 1980. Mr. 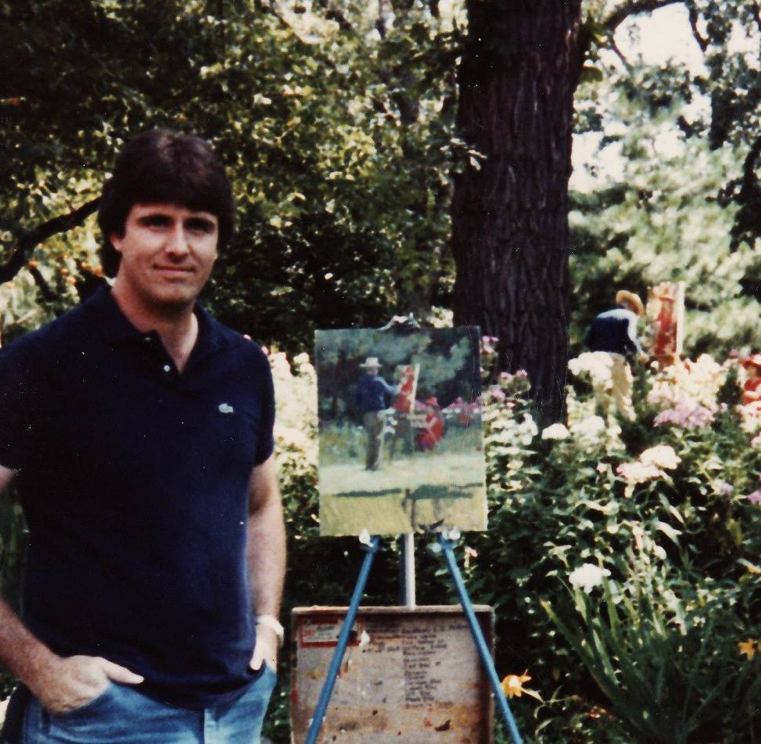 Lack painting an outdoor portrait in his backyard, Glen Lake, Minnesota, 1986. 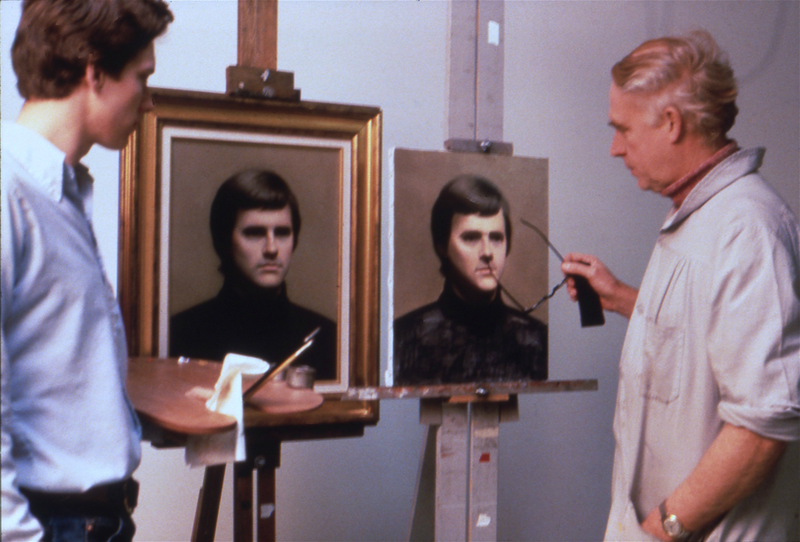 Kirk Richards is in the foreground with his painting of Mr. Lack painting his portrait. Mr. 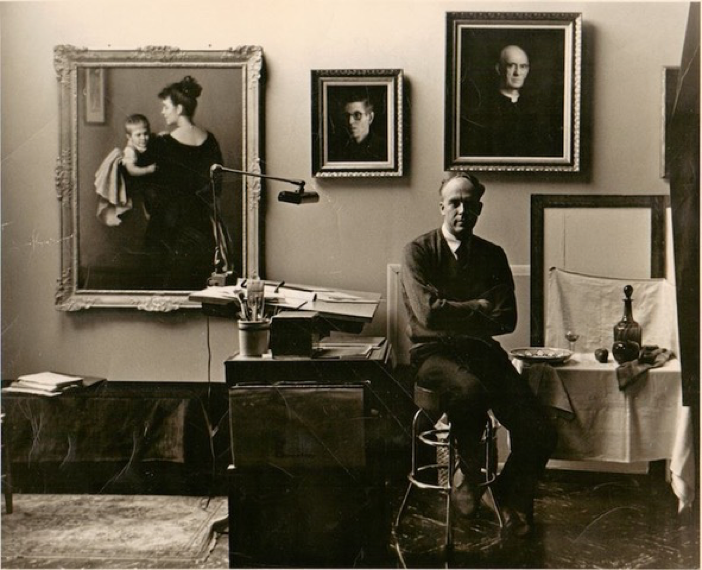 Lack can be seen in the background working on his portrait. Mr. Lack, Katherine Lack, Patricia Gjertson and Stephen Gjertson preparing for a fundraiser at Atelier Lack, Minneapolis, 1979. ​First Annual Guild Invitational exhibition, Atelier Lack, Minneapolis, 1976. Guild artists, L-R: Don Koestner, Thomas Mairs, Richard Serrin, James Childs, Richard Lack, Stephen Gjertson. Courtesy of Minneapolis Star Tribune. The opening reception for Classical Realism: The Other Twentieth Century at the Amarillo Art Center (now the Amarillo Museum of Art), Amarillo, Texas, January 1983. This is the exhibition for which Mr. Lack chose the term, Classical Realism. Front row, L-R: James Coston, Jean Grapp, Dean Kalomas, David Erickson. 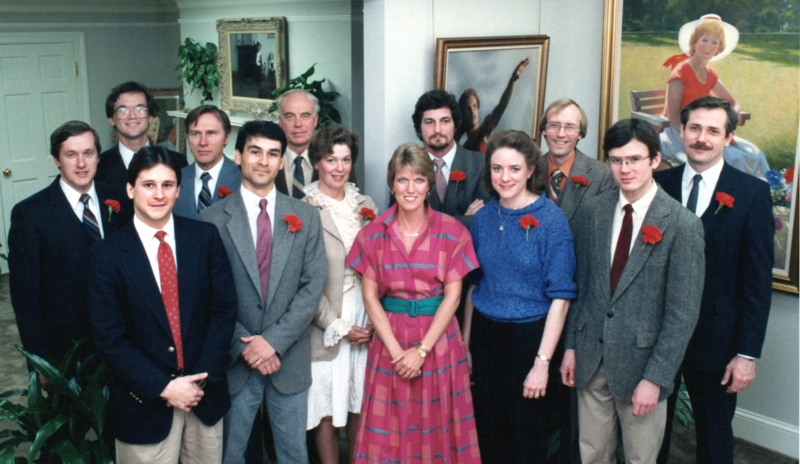 Back row, L-R: Jackson Russell, Jeffrey Larson, Michael Wodnick, Dale Redpath, Katherine Lack, Richard Lack, Cyd Wicker, Kirk Richards, Linda Richards. 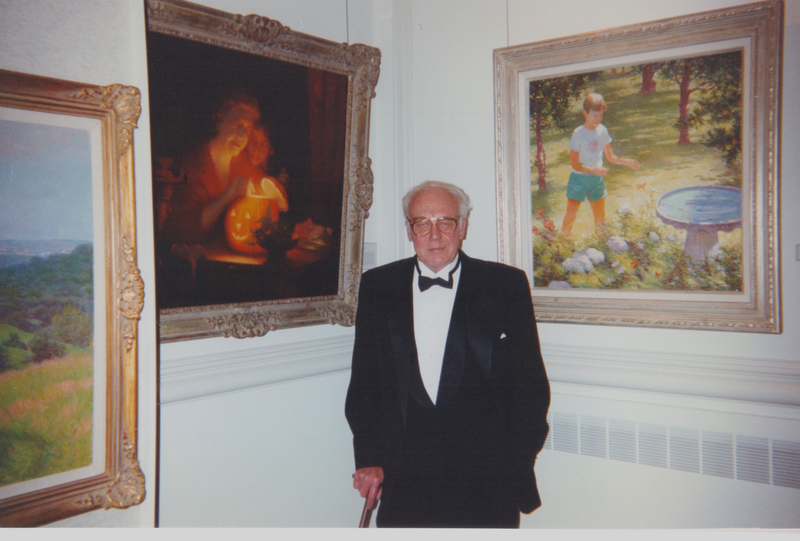 Richard F. Lack: An American Master, book signing, University of Minnesota Technology Center (location of The ASCR office), October 6, 2001. Front row, L-R: Gary Christensen, Katherine Lack, Richard Lack. Back row, L-R: Rebecca Swanson, Stephen Gjertson, Brian Lewis, Steven Levin, Michael Coyle, Cyd Wicker. 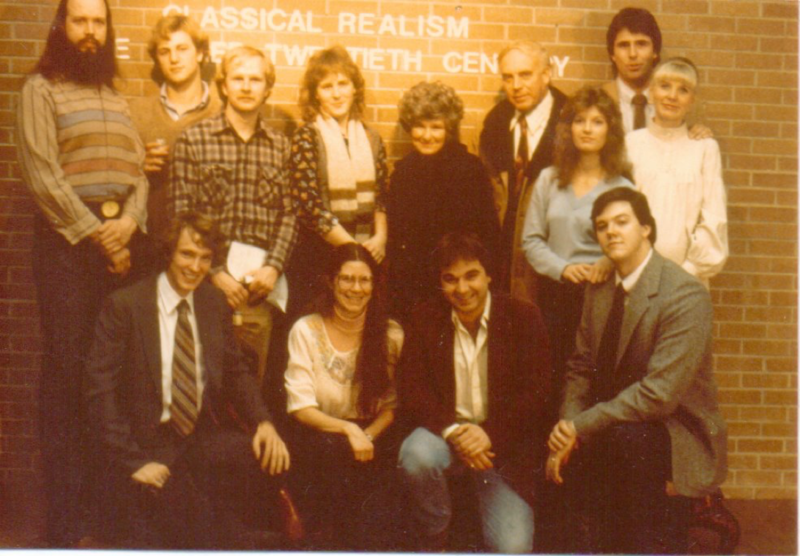 Realism in Revolution, First Classical Realists Conference opening, Heritage Art Gallery, March, 1986. Front row, L-R: Robert DeVaux (Heritage employee), Carl Samson, Peg Yarbrough (Heritage founder), Lisa Bormann, Kurt Anderson. Back row L-R: Richard Whitney, Jack Lynch (Heritage owner), Sid Willis, Richard Lack, Norma Bohrer, Allan Banks, Stephen Gjertson, James Prohl. 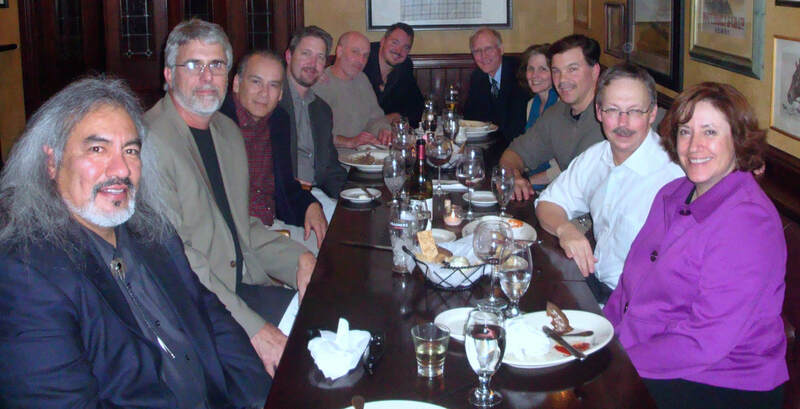 Classical Realist artists at a dinner after the Richard Lack Memorial, Minnesota, November 1, 2009. L-R: Armando Gutiérrez, Kirk Richards, Carl Samson, Steven Levin, Michael Coyle, David Erickson, Stephen Gjertson, Patricia Gjertson, Michael Chelich, Brian Lewis, Susan Smith. Beauty: A Rebirth of Relevance dinner, Newington-Cropsey Foundation Gallery of Art, 1996. L-R: Stephen Gjertson, Patricia Gjertson, Stephanie Gjertson, Katherine Lack, Richard Lack, Kirk Richards. Beauty: A Rebirth of Relevance dinner, Newington-Cropsey Foundation Gallery of Art, 1996. L-R: Allan Banks, Holly Banks, Stephen Gjertson, Patricia Gjertson, Stephanie Gjertson, Katherine Lack, Richard Lack, Kirk Richards. Beauty: A Rebirth of Relevance opening, Newington-Cropsey Foundation Gallery of Art, 1996. 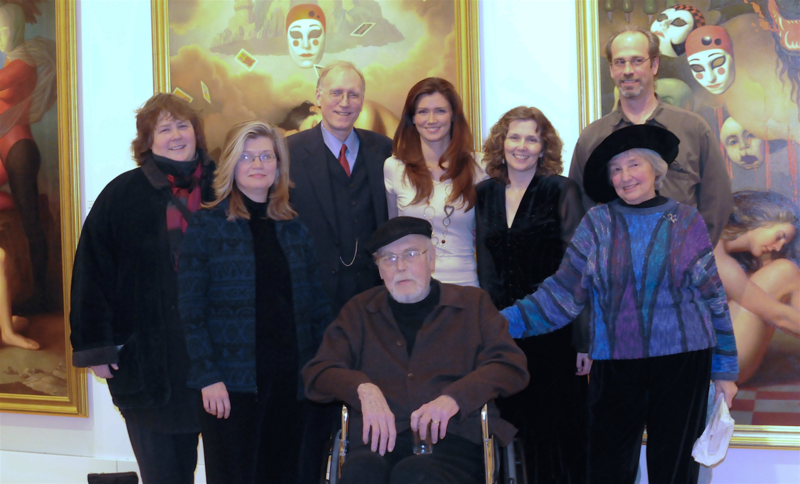 L-R: Patricia Gjertson, Stephen Gjertson, Stephanie Gjertson, Linda Richards, Kirk Richards, Susanna Lack, Fern Koestner, Richard Lack, Katherine Lack, Don Koestner. Beauty: A Rebirth of Relevance opening, Newington-Cropsey Foundation Gallery of Art, 1996. L-R: Don Koestner, Stephen Gjertson, Kirk Richards, Richard Lack. Distinguished Company opening, Bloomington Art Center, January 16, 2009. The last exhibition Mr. Lack had during his life. Front row, L-R: Richard Lack, Katherine Lack. Back row, L-R: Dale Redpath, Cyd Wicker, Stephen Gjertson, Stephanie Gjertson, Patricia Gjertson, Michael Lack. Distinguished Company opening, Bloomington Art Center. Richard and Katherine Lack. January 16, 2009. 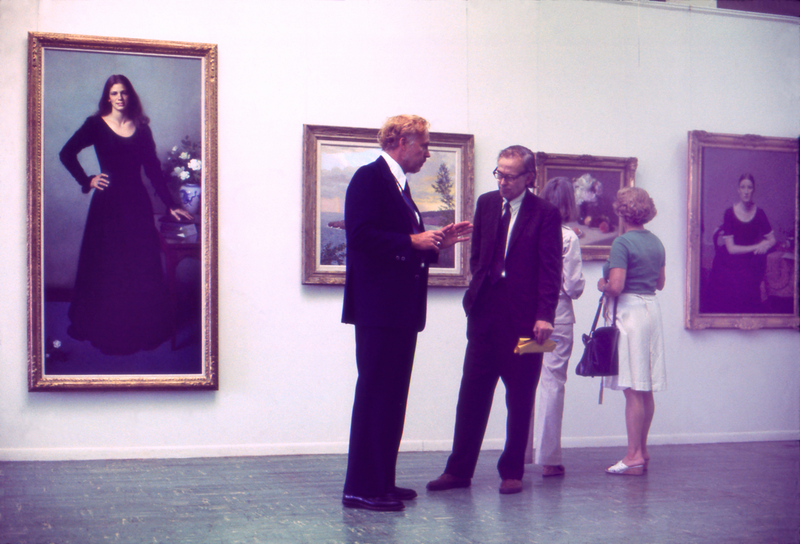 Realism in Revolution artists, Heritage Art Gallery, March 1986. 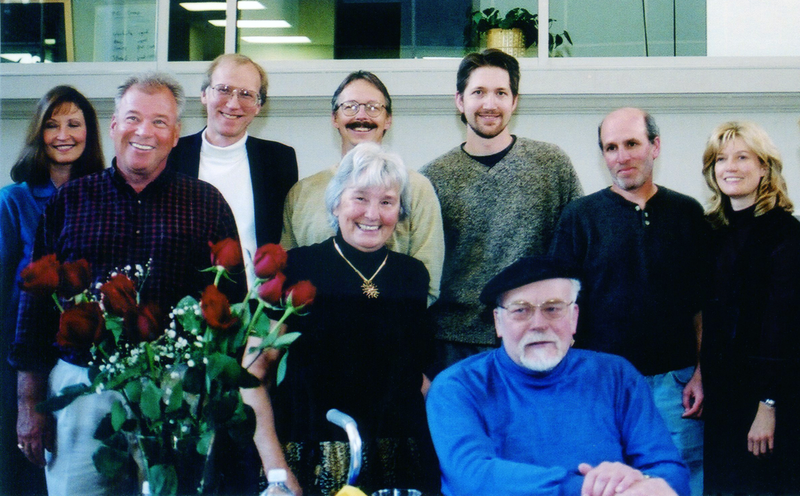 Front row, L-R: Lisa Bormann, Richard Lack, Sid Willis, Richard Whitney, Stephen Gjertson, Susan Stokes, Norma Bohrer, Gary Hoffmann, Lisa Hoffman. Back row, L-R: Allan Banks, Kurt Anderson, Carl Samson. Mr. 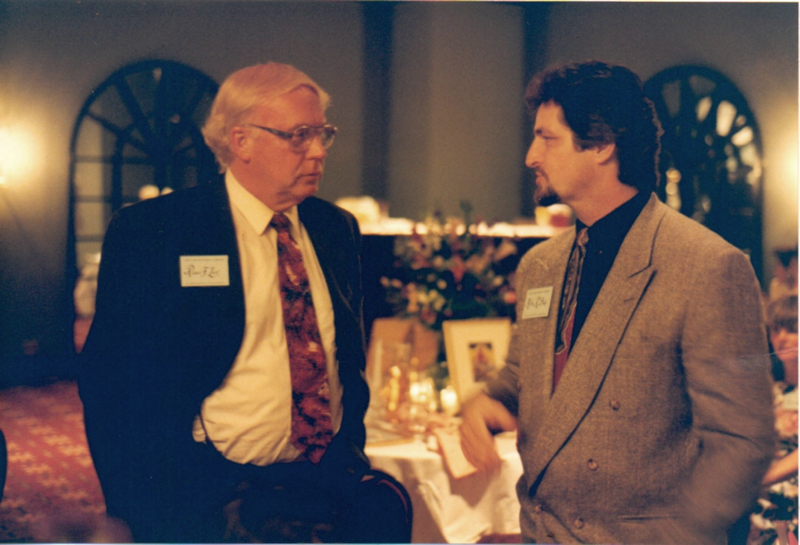 Lack and Kirk Richards at the dinner for Living Art, Living Artists: Is Tradition Dead?, The Third Classical Realism Conference, Symposium and Salon, sponsored by The American Society of Classical Realism and hosted by Heritage Art Gallery, Alexandria, VA, May, 1992. Mr. 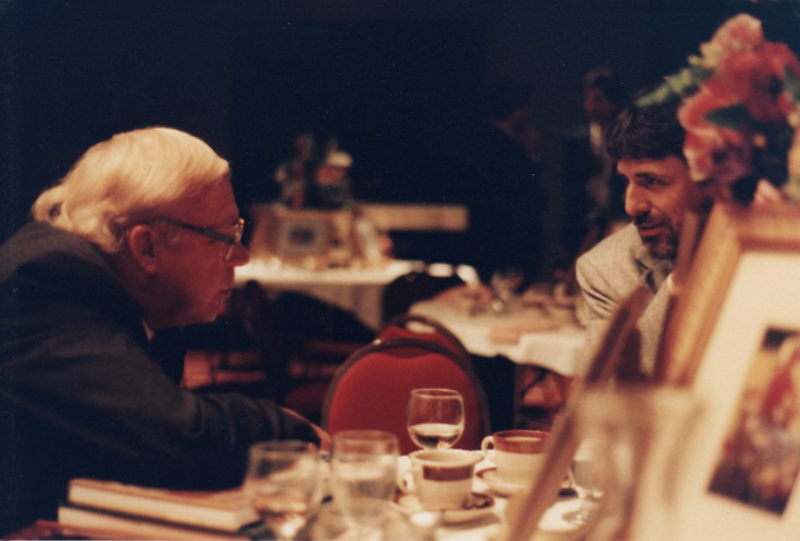 Lack and Allan R. Banks conversing at the dinner for Living Art, Living Artists: Is Tradition Dead?, The Third Classical Realism Conference, Symposium and Salon, sponsored by The American Society of Classical Realism and hosted by Heritage Art Gallery, Alexandria, VA, May, 1992. Mr. 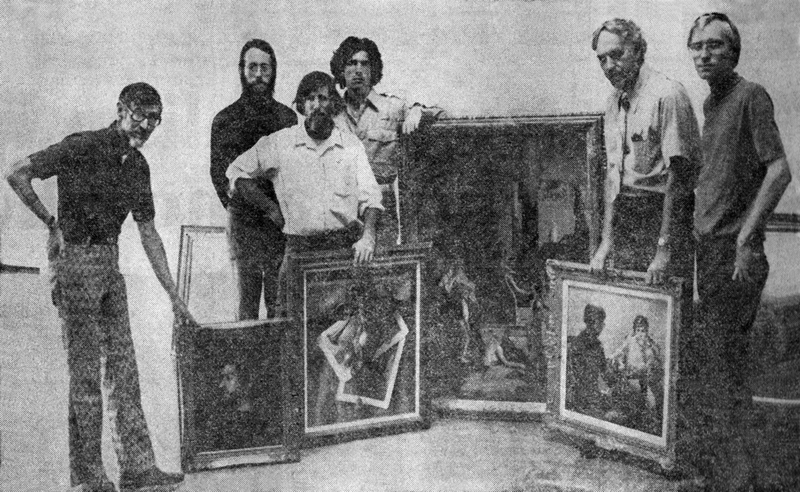 Lack and James Serrin at the First Annual Guild Invitational exhibition at Atelier Lack, Minneapolis, 1976. Mr. 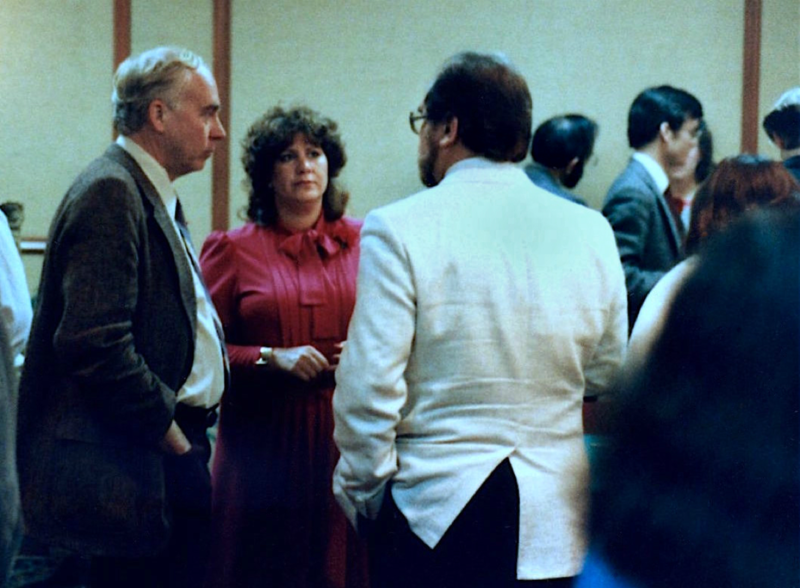 Lack with Louis Torres (left) and Michelle Marder Kamhi (centre), editors of Artistos: An Online Review of the Arts, at Realism in Revolution, First Classical Realists Conference, Heritage Art Gallery, 1986. Realism in Revolution, First Classical Realists Conference, Heritage Art Gallery. Mr. Lack visits with Lisa and Gary Hoffmann, 1986. Mr. Lack with Gary and Laurie Christensen at the Carlson portrait unveiling, Minnesota State Capitol, Saint Paul, Minnesota, 1999. Mr. 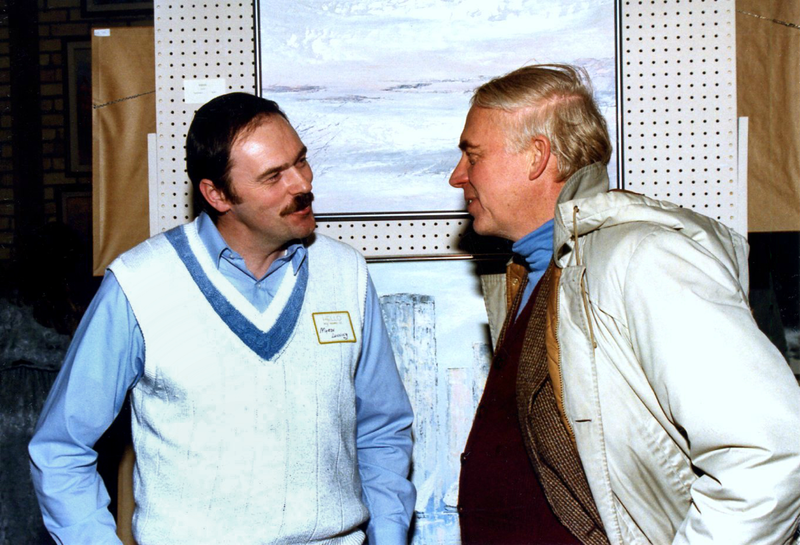 Lack and Myron Lunning at an opening reception at Mhiripiri Gallery, Minneapolis, 1986. Mr. 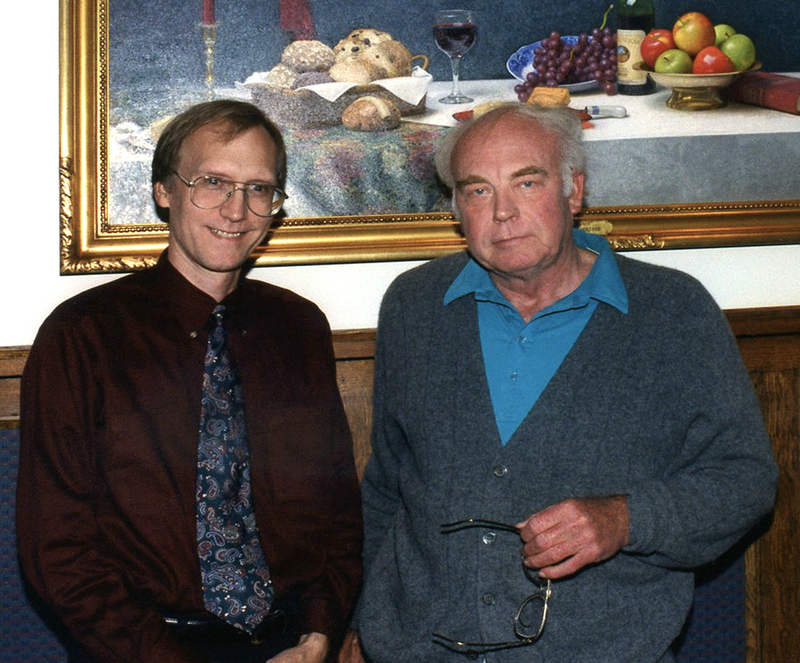 Lack and Stephen Gjertson at the unveiling reception for Mr. Gjertson's still life, Sustenance, at the Minneapolis home of the friends who commissioned the painting, 1996. 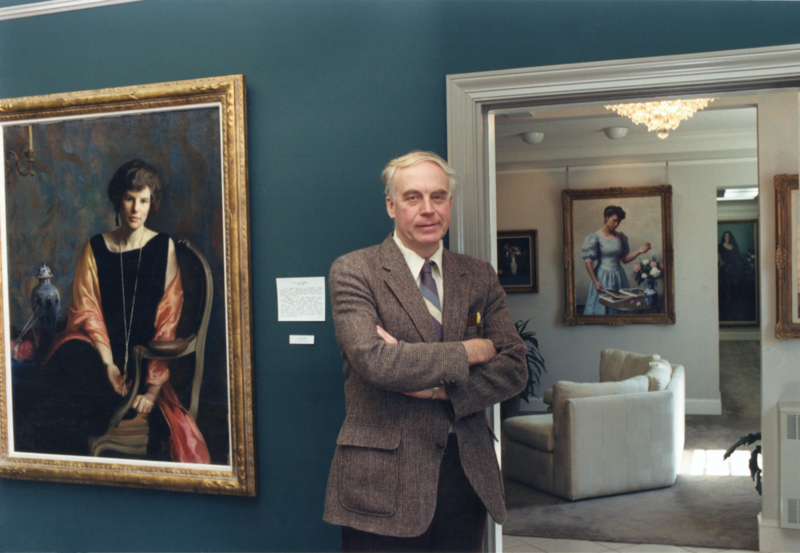 Living Art, Living Artists: Is Tradition Dead?, The Third Classical Realism Conference, Symposium and Salon, sponsored by The American Society of Classical Realism and hosted by Heritage Art Gallery, Alexandria, VA, May, 1992. L-R: Gary Christensen, Anthony Watkins, Robert Douglas Hunter, Richard Lack, Lindesay Harkness, Allan Banks. Alternative view of Living Art, Living Artists: Is Tradition Dead?, The Third Classical Realism Conference, Symposium and Salon, sponsored by The American Society of Classical Realism and hosted by Heritage Art Gallery, Alexandria, VA, May, 1992. 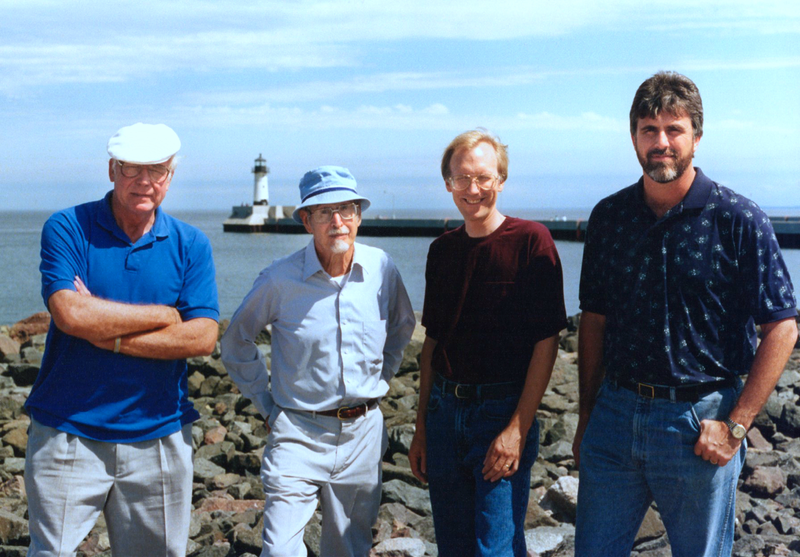 L-R: Anthony Watkins, Robert Douglas Hunter, Richard Lack, Lindesay Harkness, Allan Banks. 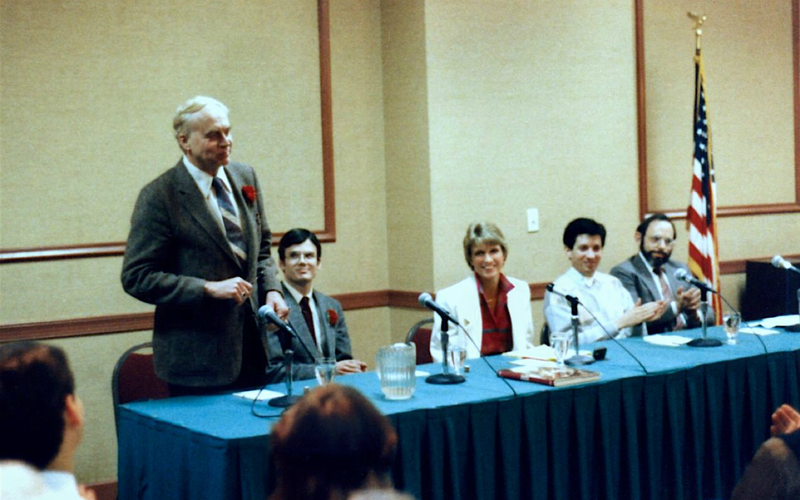 Realism in Revolution, First Classical Realists Conference, panel discussion, Heritage Art Gallery, 1986. L-R: Richard Lack, Kurt Anderson, Peg Yarbrough, Mark Walker, Fred Ross. Mr. 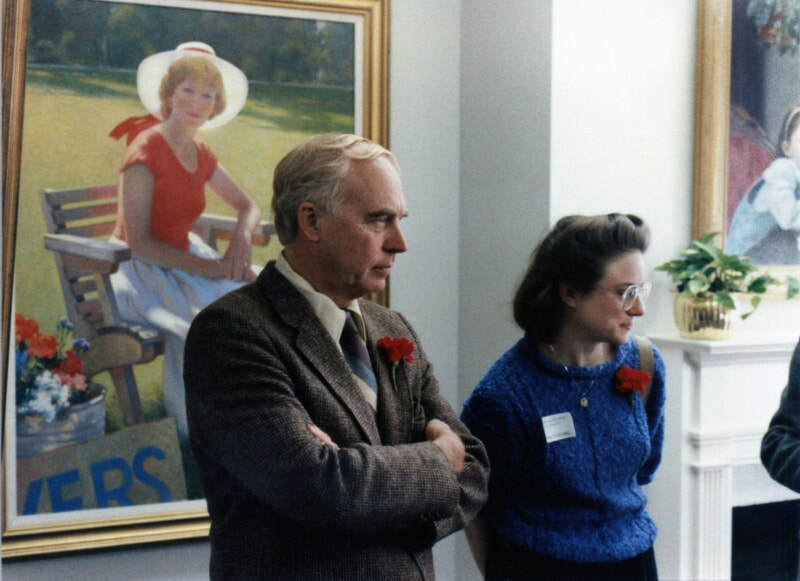 Lack and Lisa Bormann at the Realism in Revolution, First Classical Realists Conference, Heritage Art Gallery, 1986. Distinguished Company exhibition installation, Bloomington Art Center, January, 2009. 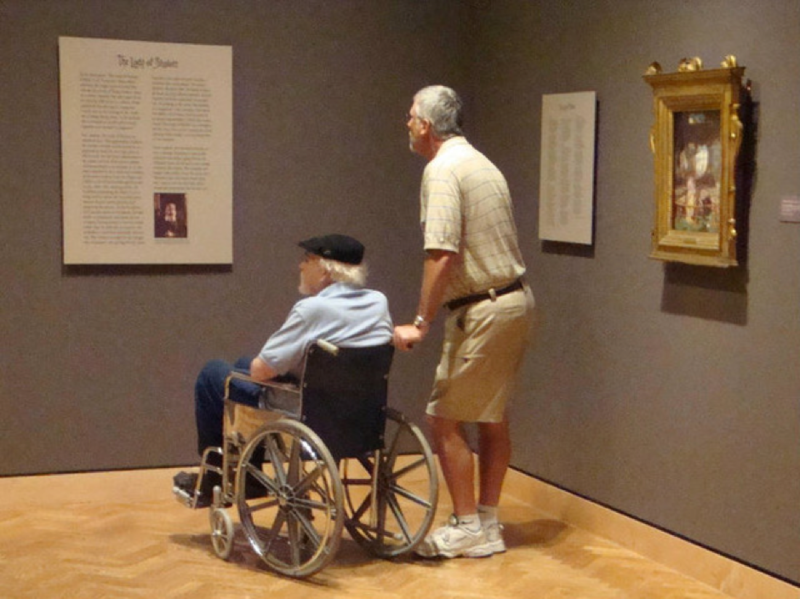 Michael Lack (left) and Wayne Meineke (right) hanging Mr. Lack’s, The Interior Journey paintings. 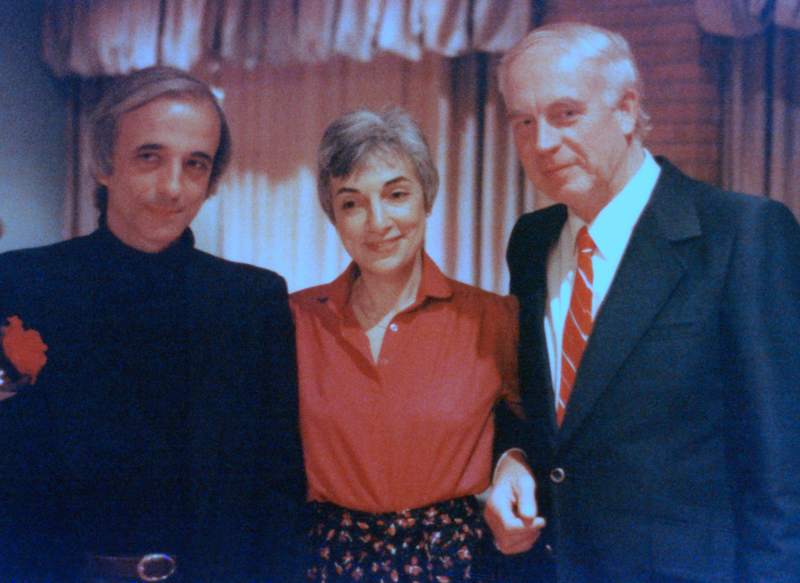 Realism in Revolution, book signing at Atelier East, the Griggs Mansion, December, 1985. 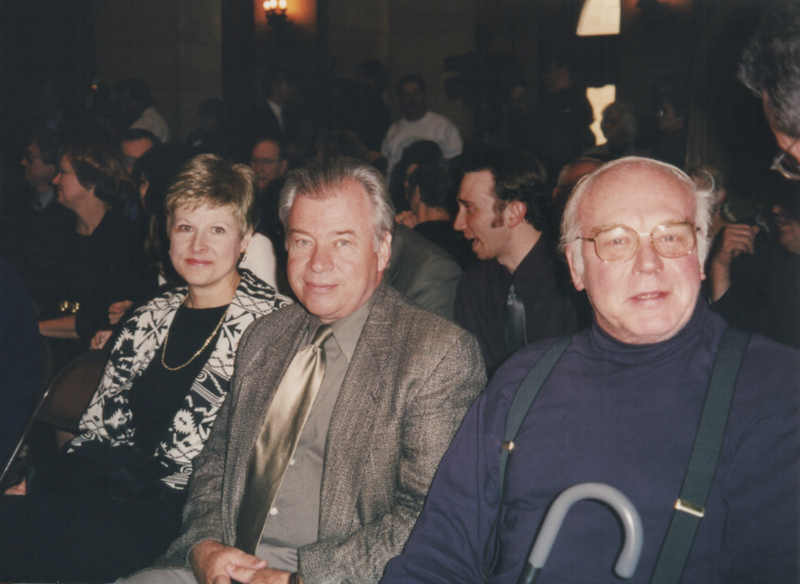 L-R: Wayne Howell, James Prohl, Richard Lack, Lisa Bormann. Stephen Gjertson wheeling Mr. 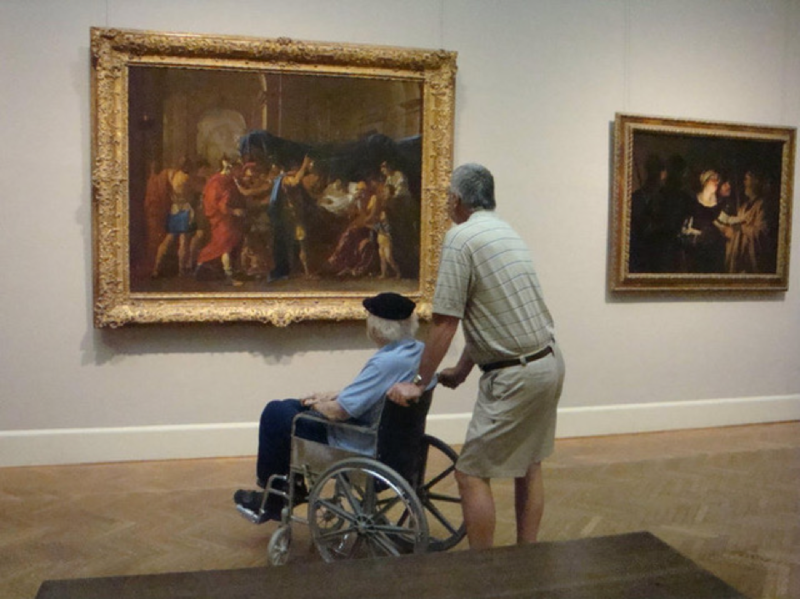 Lack through the Minneapolis Institute of Art, looking at The Betrayal of Christ by Anthony van Dyck, July, 2009. Stephen Gjertson and Mr. Lack observing William Holman Hunt's painting, The Lady of Shalott, in Sin and Salvation: William Holman Hunt and the Pre-Raphaelite Vision exhibition, Minneapolis Institute of Art, July, 2009. Kirk Richards wheeling Mr. Lack through the Minneapolis Institute of Art, July, 2009. Kirk Richards and Mr. 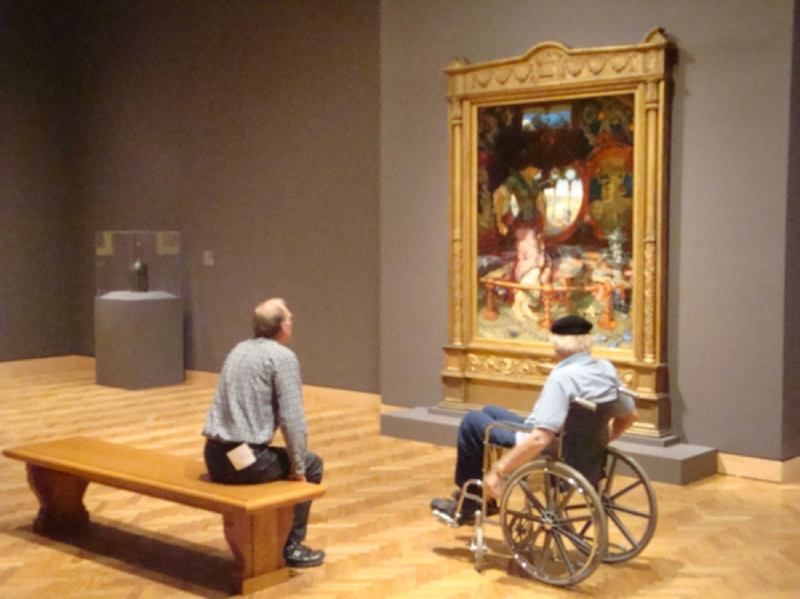 Lack observing The Death of Germanicus by Nicolas Poussin, Minneapolis Institute of Art, July, 2009. Kirk Richards and Mr. 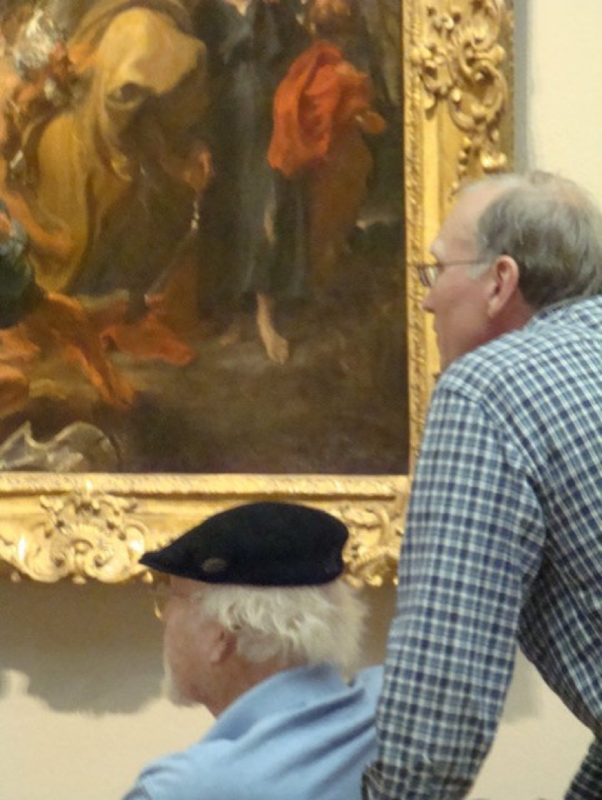 Lack discussing the strengths and weaknesses of William Holman Hunt's work in the cafe of the Minneapolis Institute of Art, July, 2009. This photograph was taken two months before Mr. Lack passed. Mr. 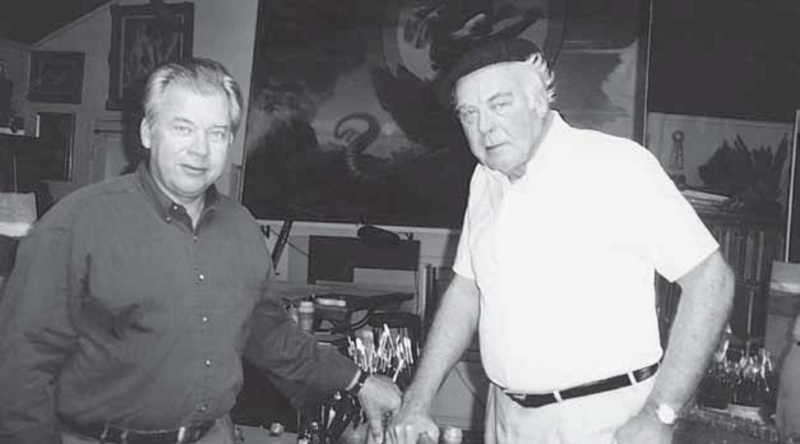 Lack and Gary Christensen in Mr. Lack’s studio, Glen Lake, Minnesota, 2000. Mr. 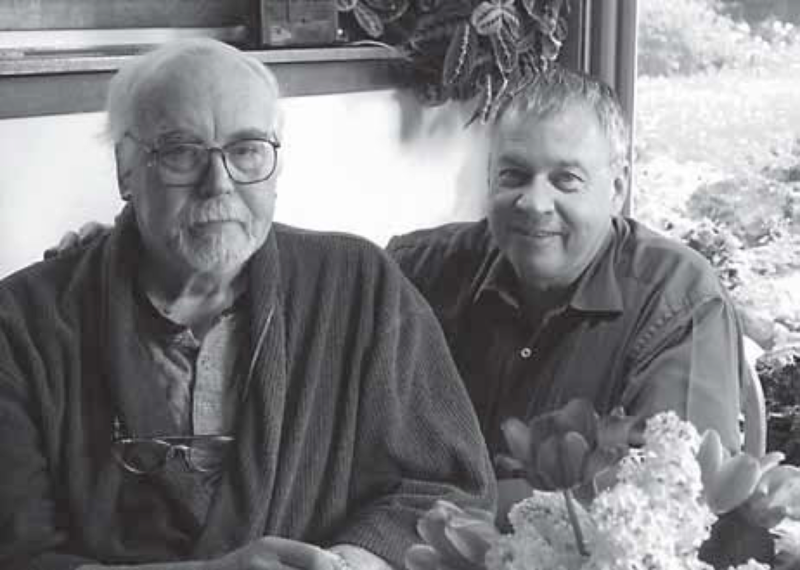 Lack and Gary Christensen at Mr. Lack’s home, Glen Lake, Minnesota, 2009. Mr. 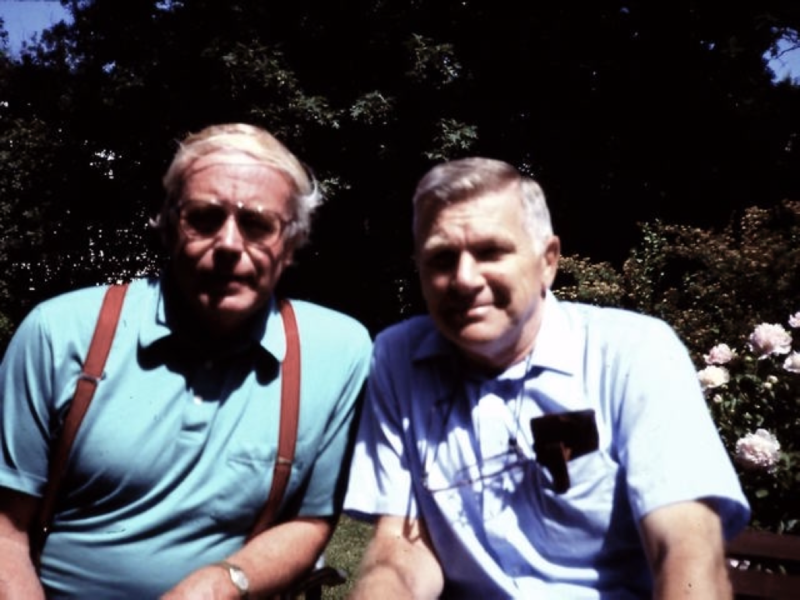 Lack and Halfdan Baadsgaard, Glen Lake, Minnesota, 1992. Susanna Lack standing in her front yard. 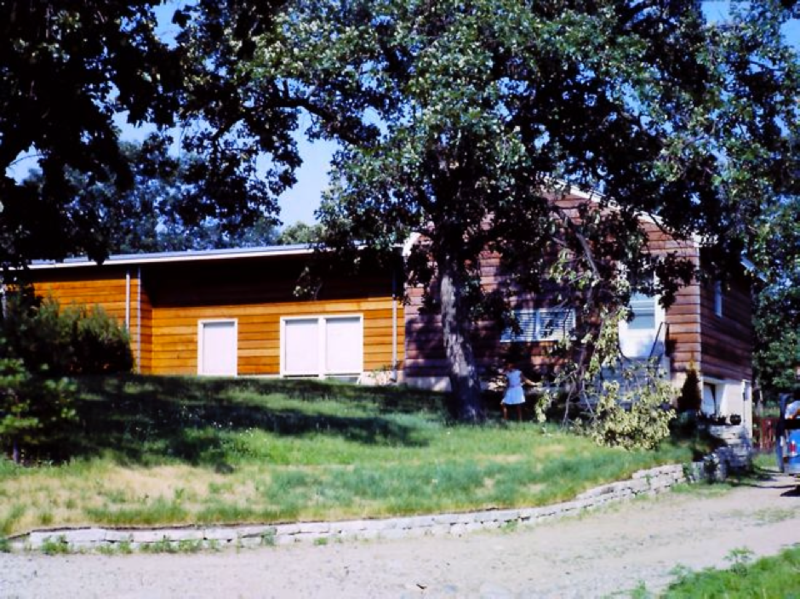 Mr. Lack’s studio is behind her on the right, Glen Lake, Minnesota, 1962. At Mr. Lack's home, Glen Lake, Minnesota, 1996. 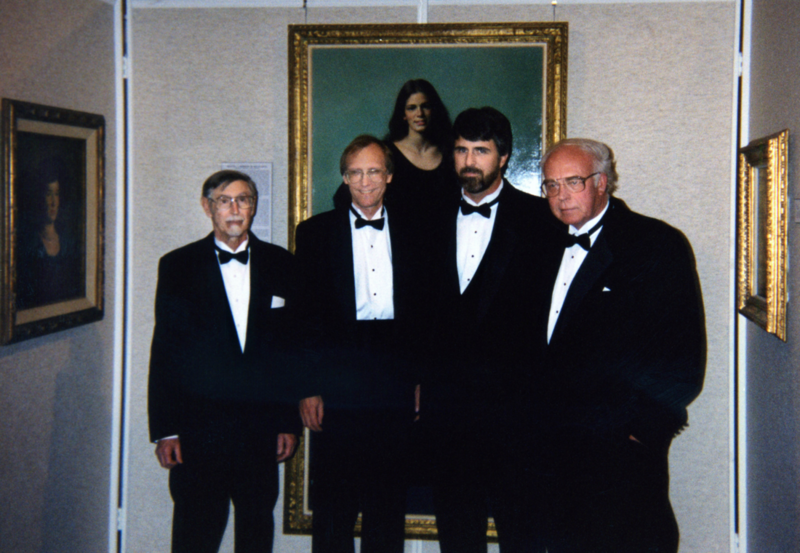 L-R: Richard Whitney, Gary Christensen, Stephen Gjertson, Richard Lack. 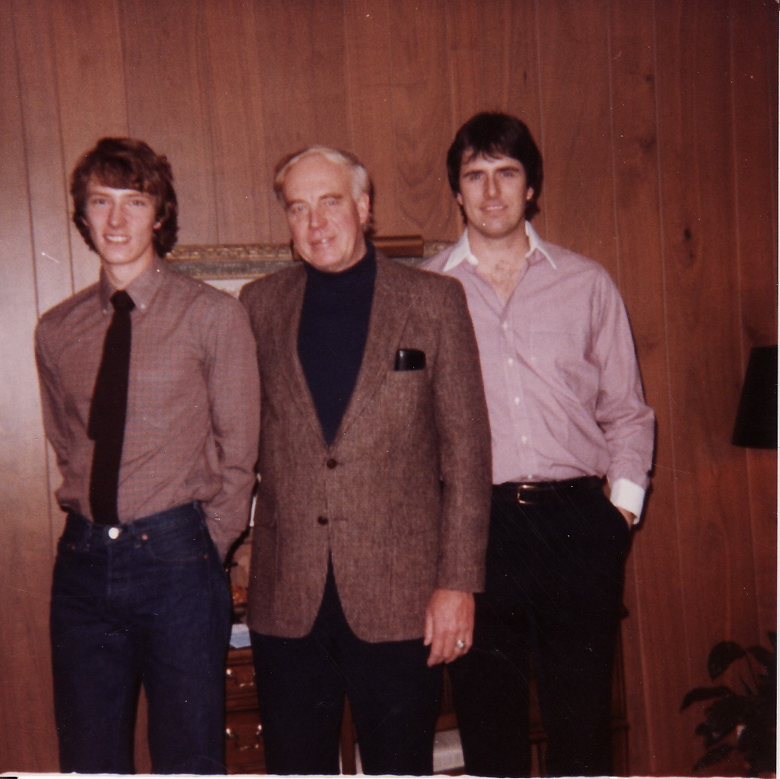 At Kirk Richard's parents' home, Amarillo, Texas, January, 1983. 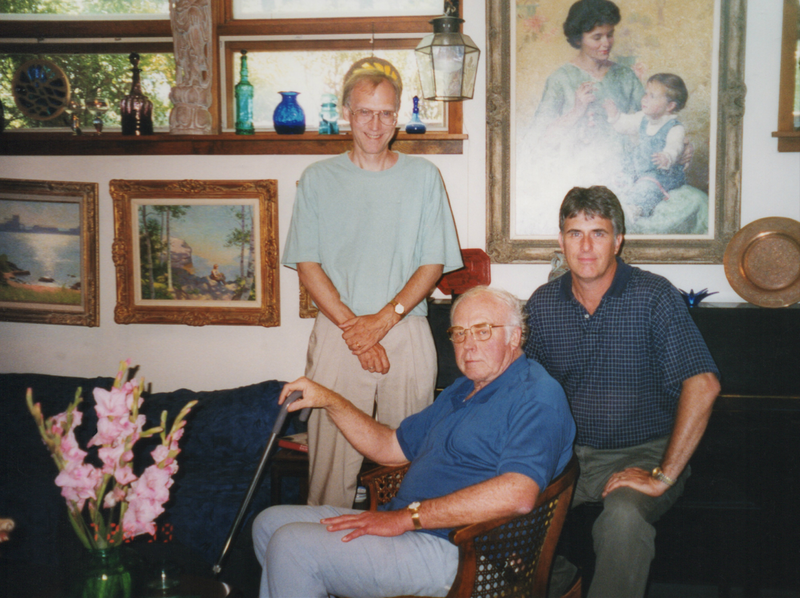 L-R: James Coston, Richard Lack, Kirk Richards. Beauty: A Rebirth of Relevance artists in Duluth, Minnesota, 1995. L-R: Richard Lack, Don Koestner, Stephen Gjertson, Kirk Richards. ​Beauty: A Rebirth of Relevance artists in Duluth, Minnesota, 1995. 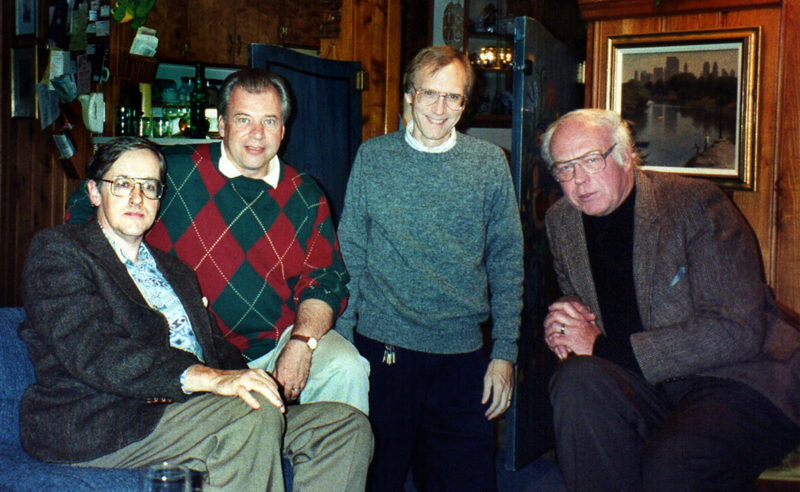 L-R: Stephen Gjertson, Kirk Richards, Richard Lack, Don Koestner. At Mr. Lack's home, Glen Lake, Minnesota, 1999. L-R: Stephen Gjertson, Richard Lack, Kirk Richards. 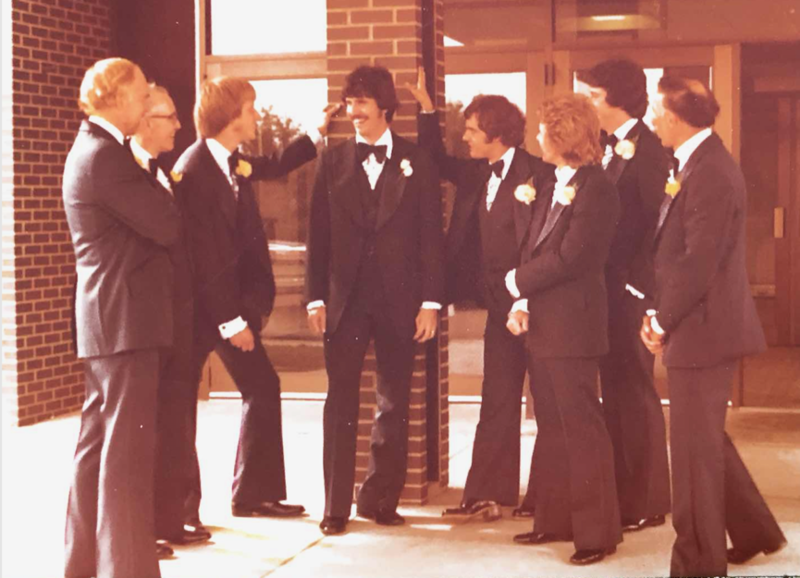 Kirk Richards' wedding day, Milaca, Minnesota, June, 1978. 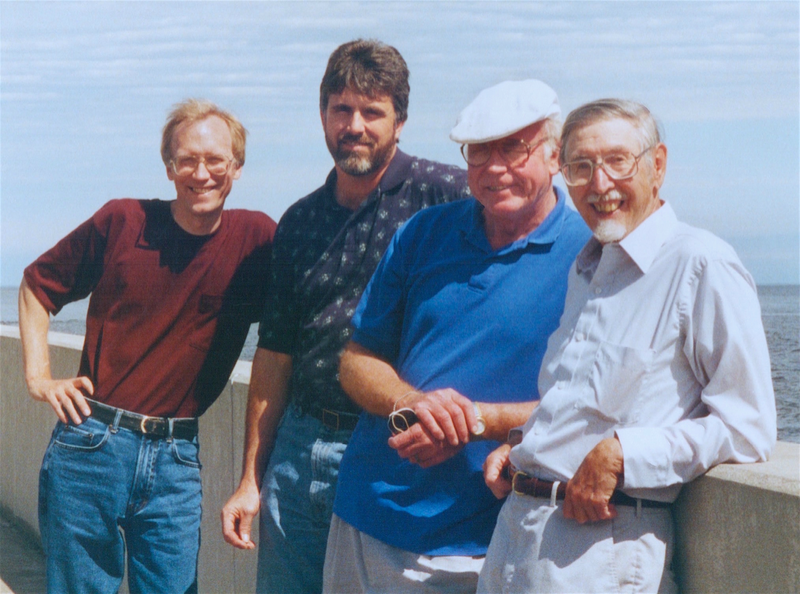 L-R: Richard Lack, Ray Richards (Kirk’s father), Jeff Kiel (Kirk’s brother-in-law), Kirk Richards, Robert Kalwat, artist Wayne Meineke, Barrett Richards (Kirk’s brother), Steve Kiel (Kirk’s father-in-law). 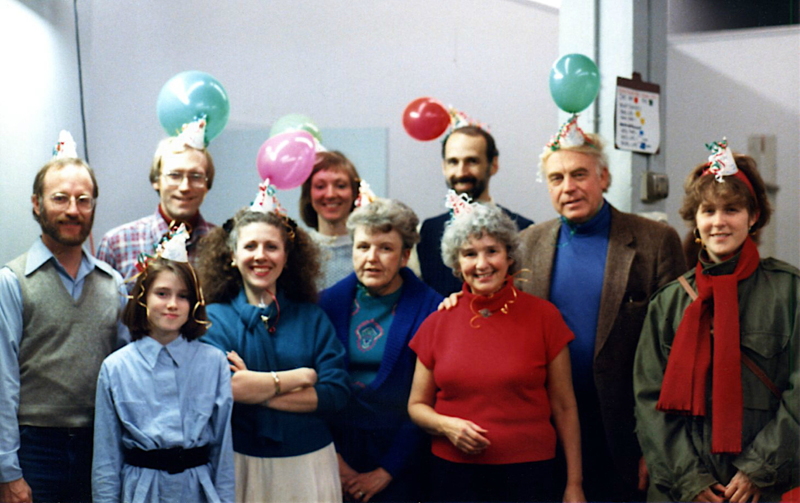 Mr. Lack’s 60th birthday celebration, Atelier Lack, Minneapolis, March 26, 1988. Front row, L-R: Stephanie Gjertson, Robin Anderson, Mary Lee Rich, Katherine Lack, Dale Redpath. Back row, L-R: Wayne Howell, Stephen Gjertson, Rosalind Langford, guest, Richard Lack. 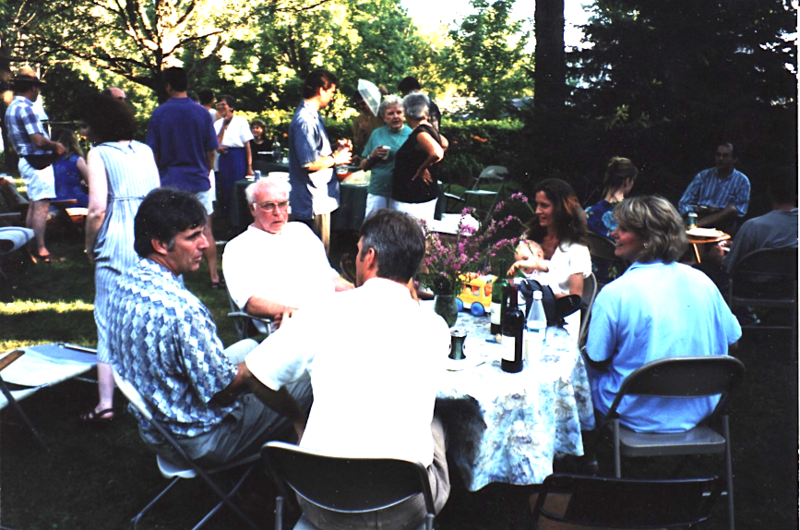 Twenty-Fifth Anniversary Reunion of Atelier Lack at the home of Richard and Katherine Lack, Glen Lake, Minnesota, July, 1998. Front row, L-R (seated at table): Kirk Richards, Richard Lack, James Ostlund (back towards us), Michele Ostlund (carrying child), Krista Johnson (back towards us). Back row, L-R: Patricia Gjertson (standing, back towards us), Mary Jane Barnard (standing in white blouse, blue skirt), Paul Abdella (standing in profile), Mary Lee Rich, Katherine Lack, Carl Samson (far right, seated facing towards us), as well as various unidentified guests. Mr. 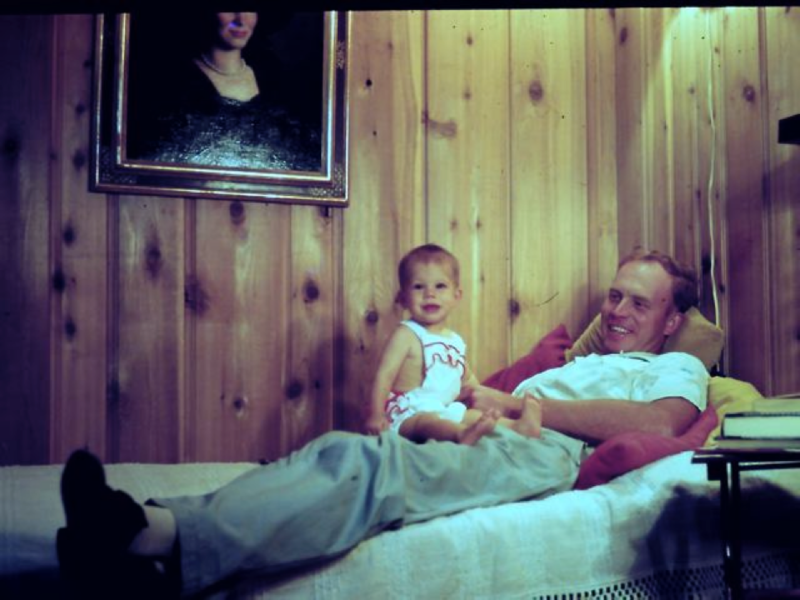 Lack and his daughter Susanna Lack, Glen Lake, Minnesota, 1958. Mr. 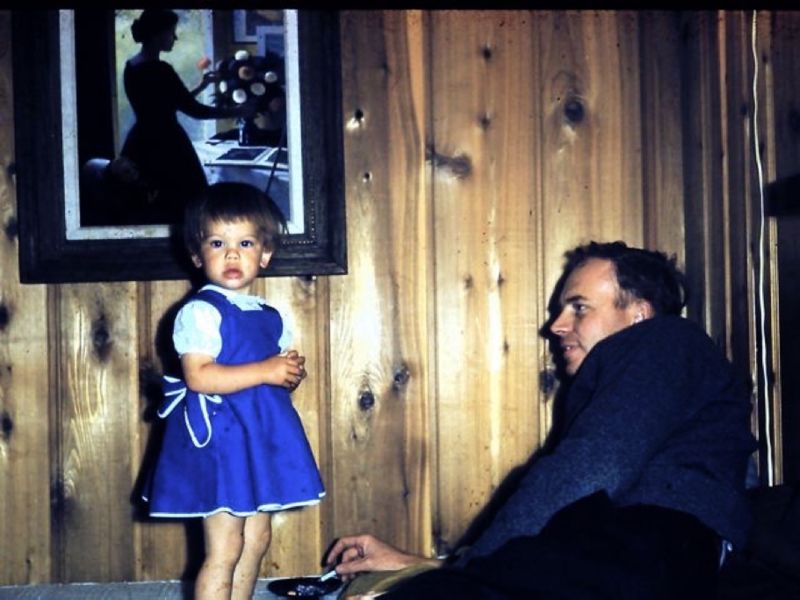 Lack and his daughter Susanna Lack, Glen Lake, Minnesota, 1960. 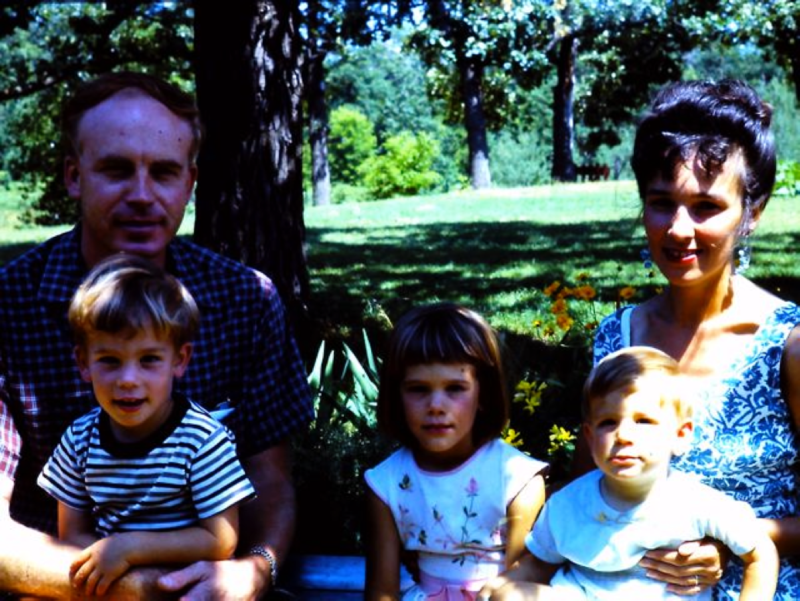 Richard and Katherine Lack with their children, Glen Lake, Minnesota, 1964. L-R: Michael, Susanna, Peter. 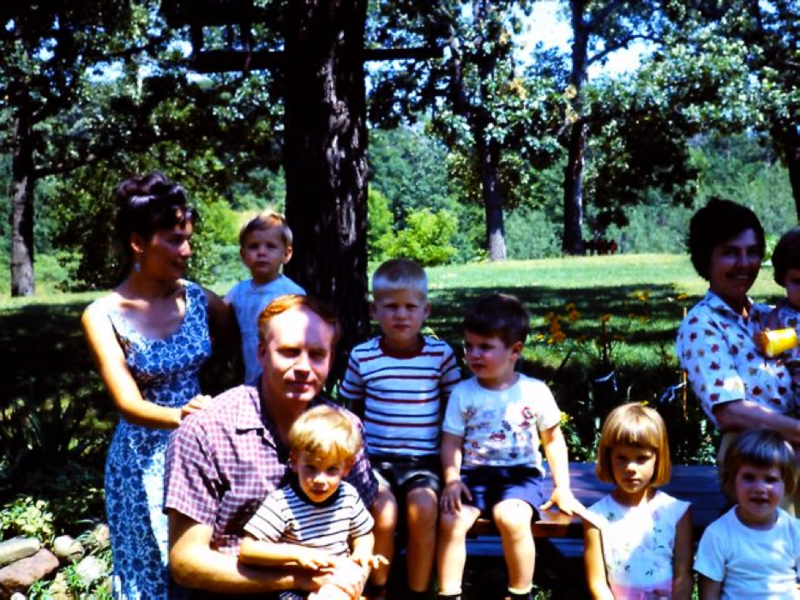 The Lack and Baadsgaard family, Glen Lake, Minnesota, 1964. 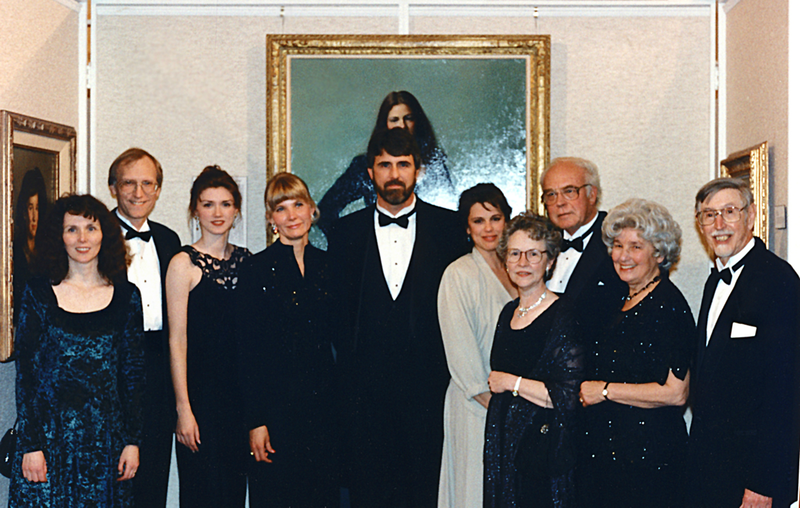 L-R: Katherine Lack (carrying Michael Lack), Richard Lack (carrying Peter Lack), Eric Baadsgaard, Garth Baadsgaard, Susanna Lack, Kirsten Baadsgaard, Anne Baadsgaard (carrying Kathy Baadsgaard). Katherine, Susanna and Mr. Lack, Glen Lake, Minnesota, 1958. 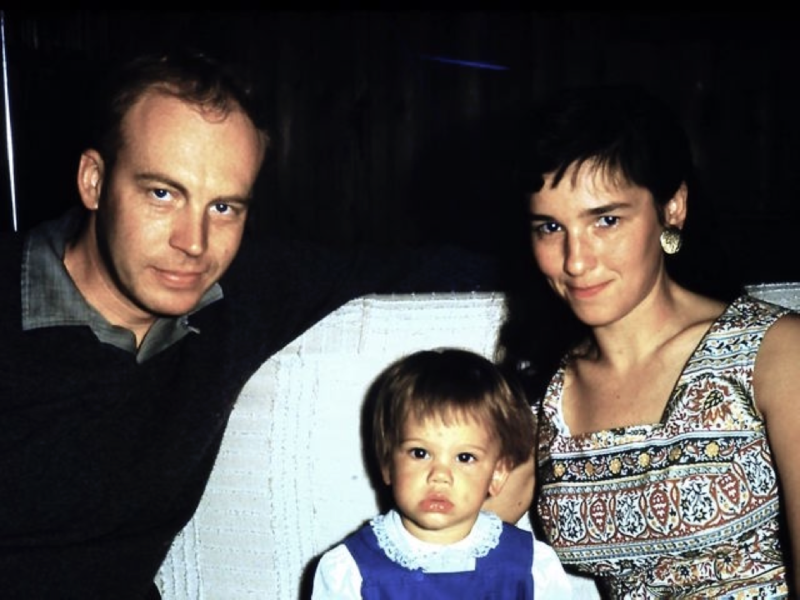 Richard, Susanna and Katherine Lack, Glen Lake, Minnesota, 1960. 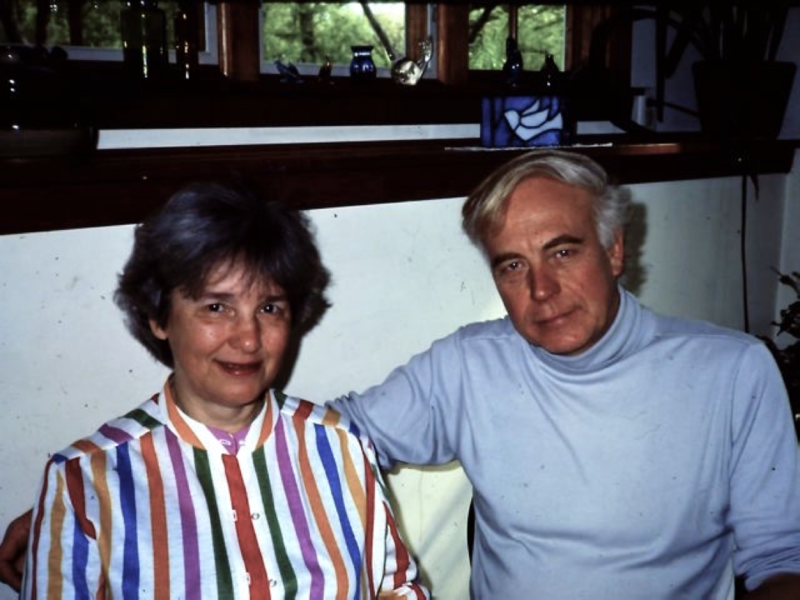 Richard and Katherine Lack, Glen Lake, Minnesota, 1985. 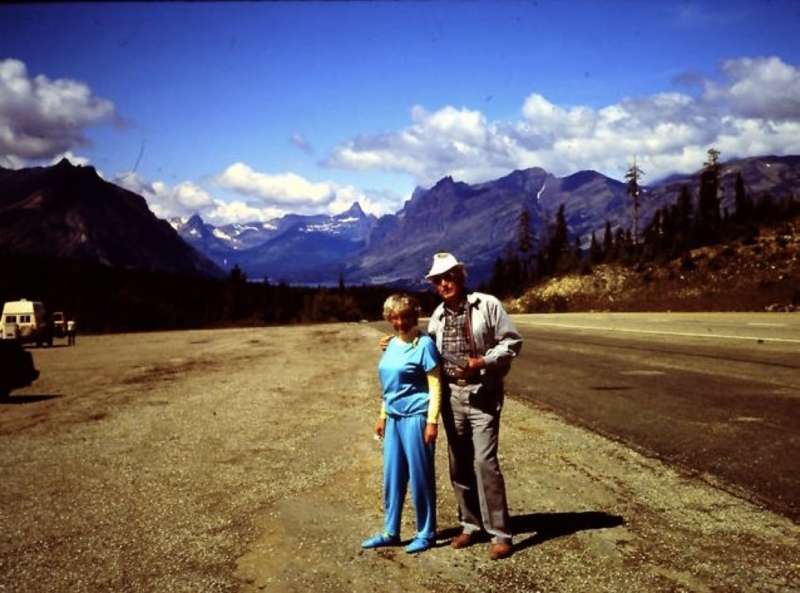 Richard and Katherine Lack at East Glacier, Montana, at the beginning of a vacation to Canada with Mr. and Mrs. Halfdan Baadsgaard, 1987. 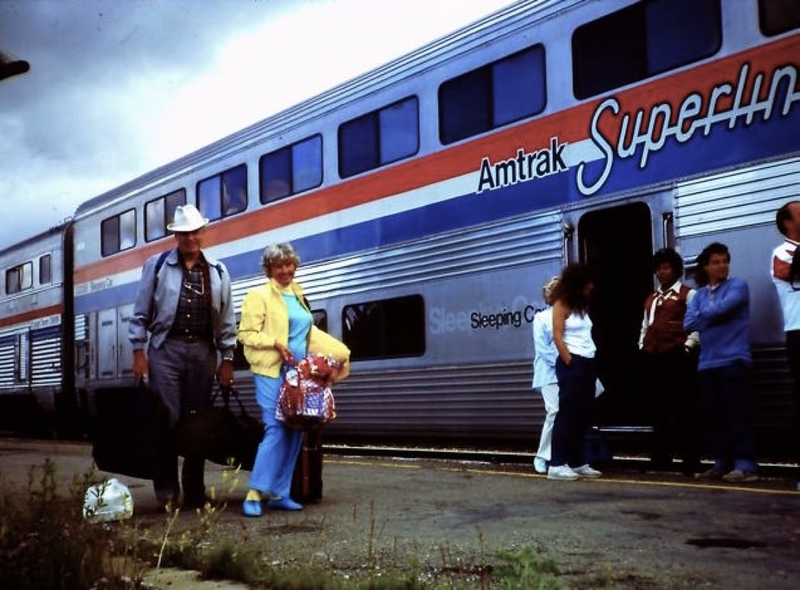 ​Richard and Katherine Lack at East Glacier station, Montana, 1987. 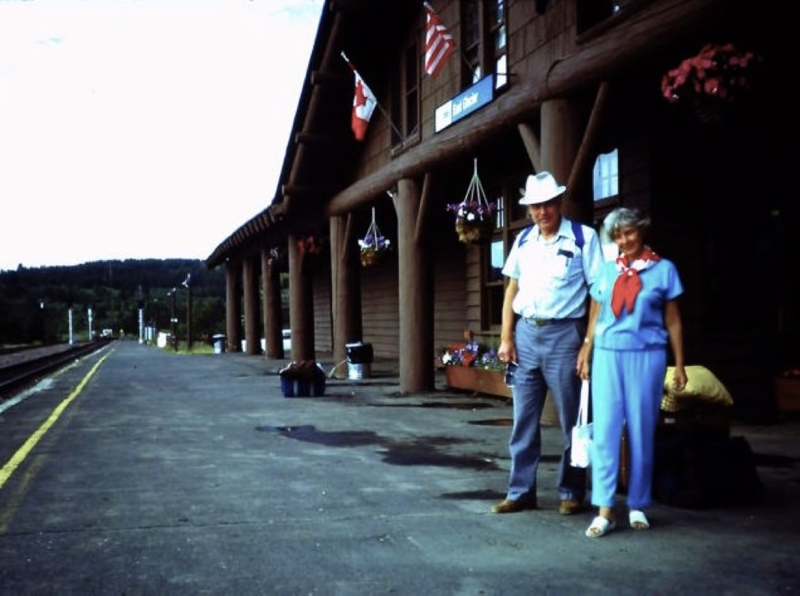 Richard and Katherine Lack, Waterton, Canada, 1987. 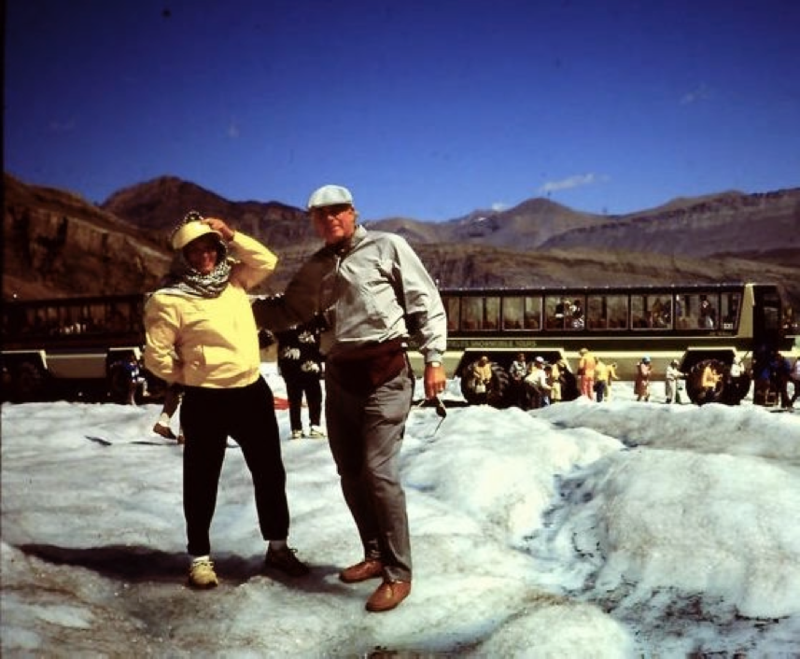 Richard and Katherine Lack at Columbia Icefields, Canada, 1987. 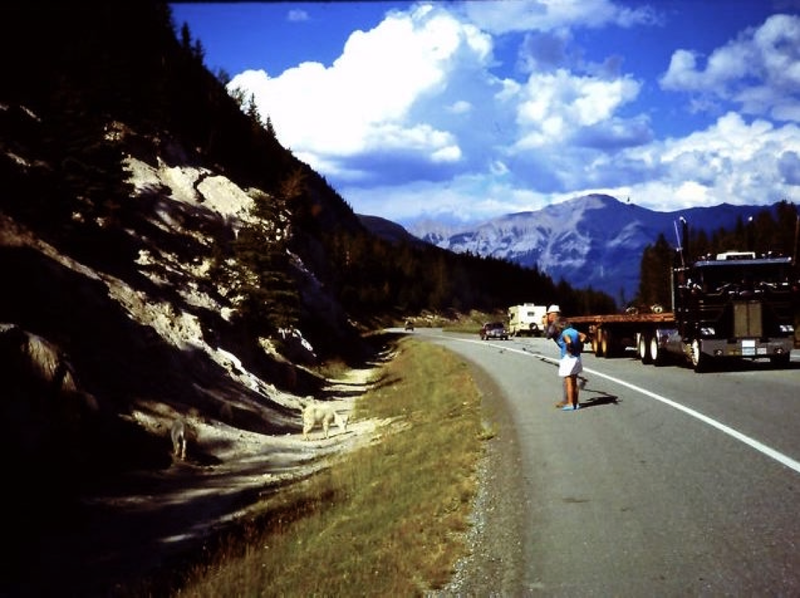 Richard and Katherine Lack photographing goats in Banff, Alberta, Canada, 1987. 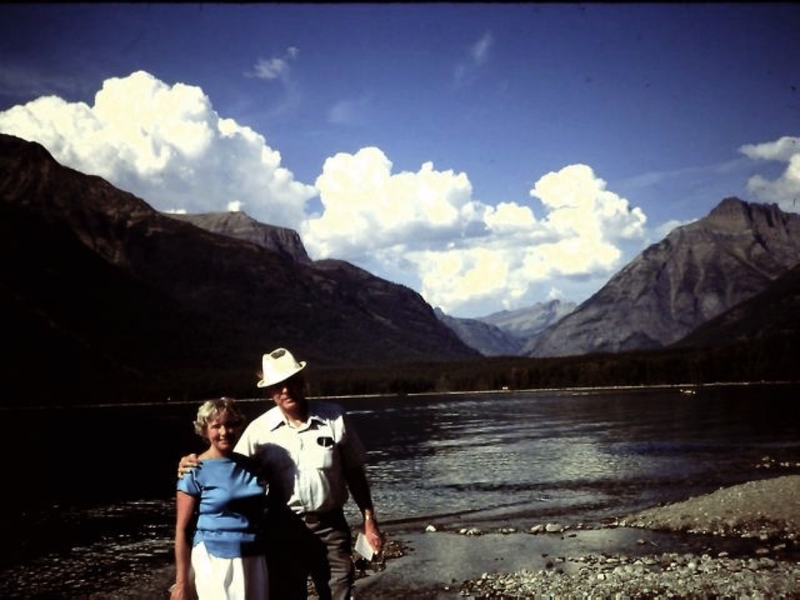 Richard and Katherine Lack, Lake MacDonald, Glacier National Park, Montana, 1987. 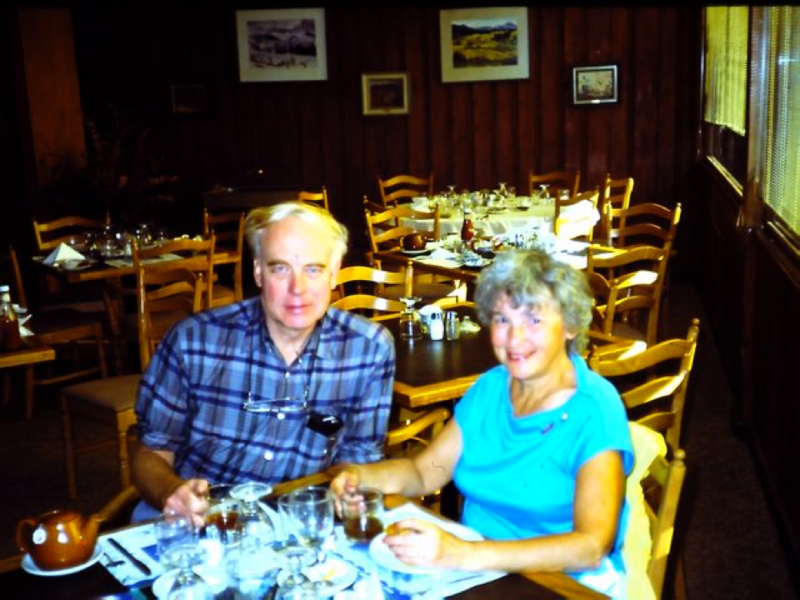 Richard and Katherine Lack at Waterton Hotel, Canada, 1987. 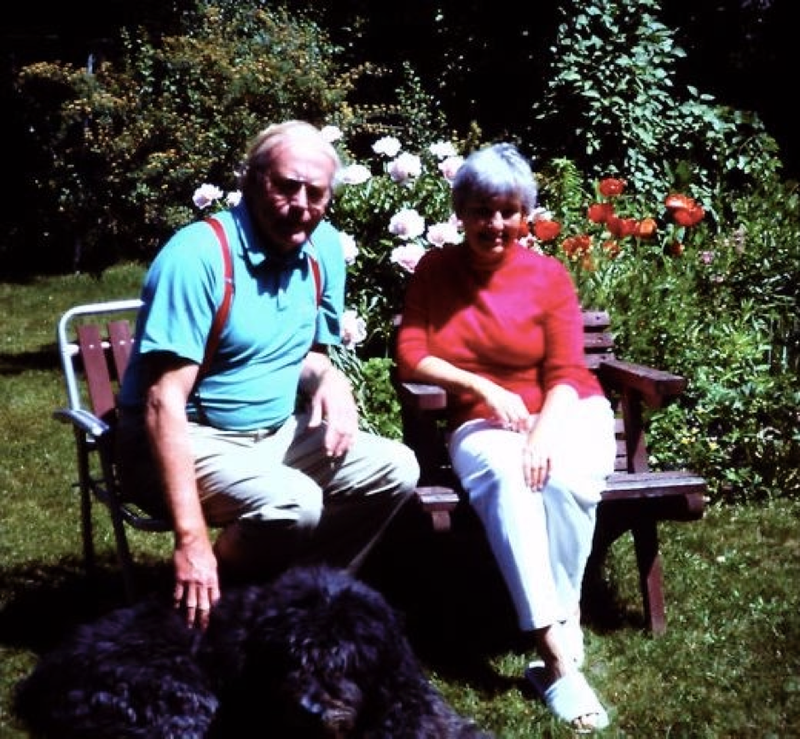 Richard and Katherine Lack with their dog in their backyard garden, Glen Lake, Minnesota, 1992. 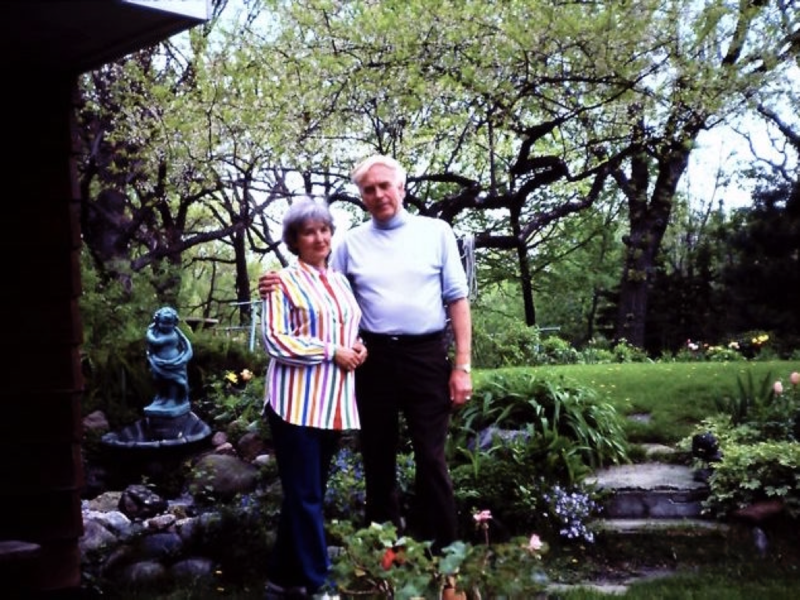 Richard and Katherine Lack by their backyard garden, Glen Lake, Minnesota, 1985. 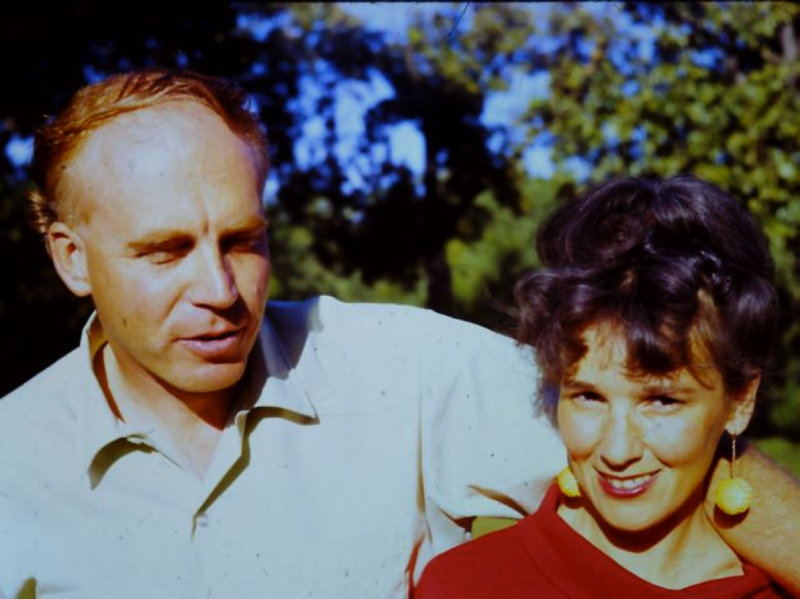 Richard and Katherine Lack, Glen Lake, Minnesota, 1966. Richard and Katherine Lack, standing before Mr. 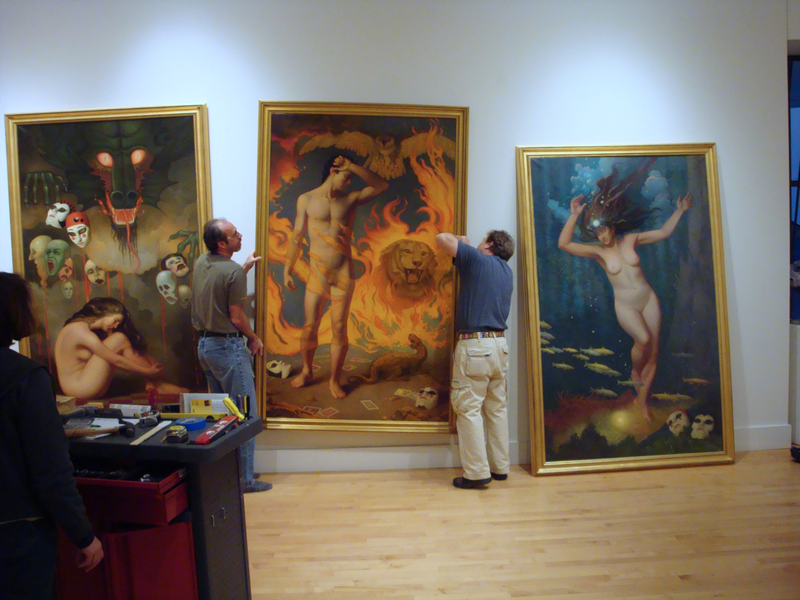 Lack's paintings, Mother and Child (left) and Metamorphosis of the Gods (right), Glen Lake, Minnesota. This photograph was taken for Twin Cities magazine, July, 1983. To view a catalogue of Mr. Lack's paintings which includes works that are currently available for purchase, click here.